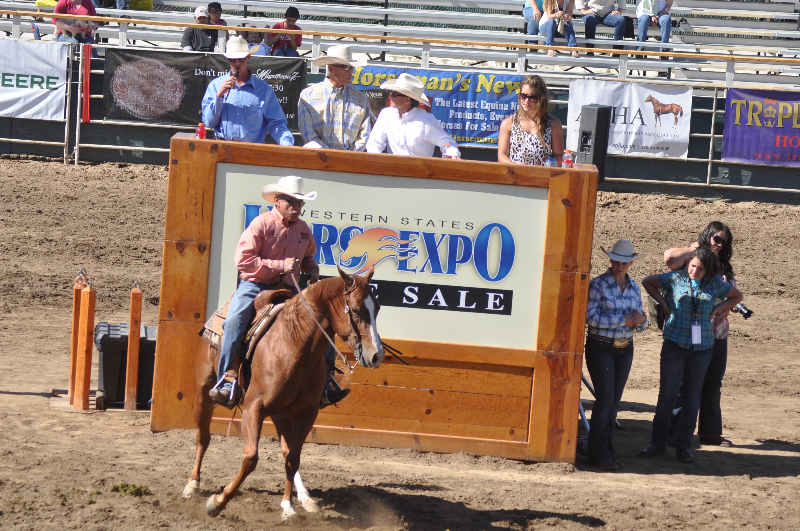 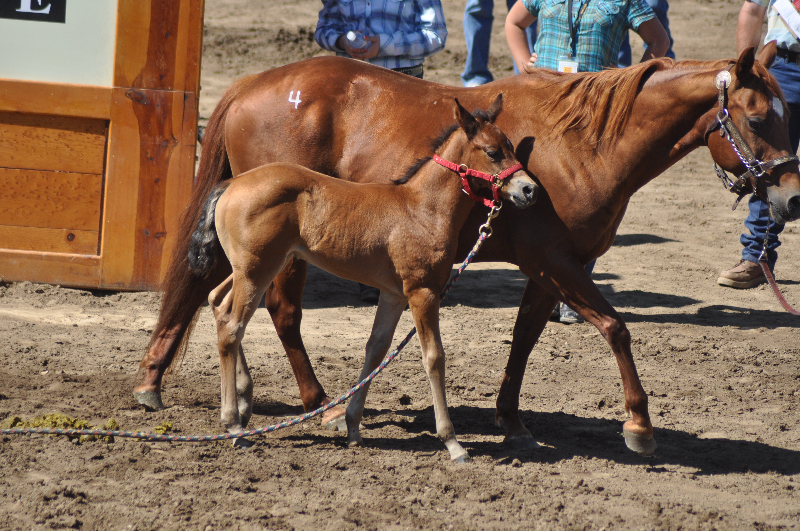 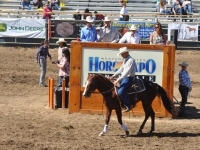 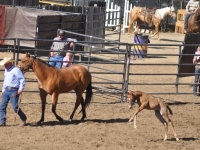 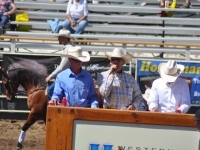 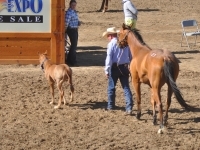 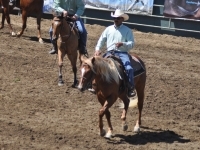 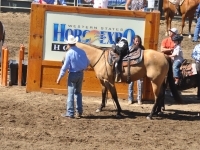 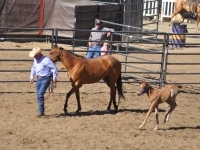 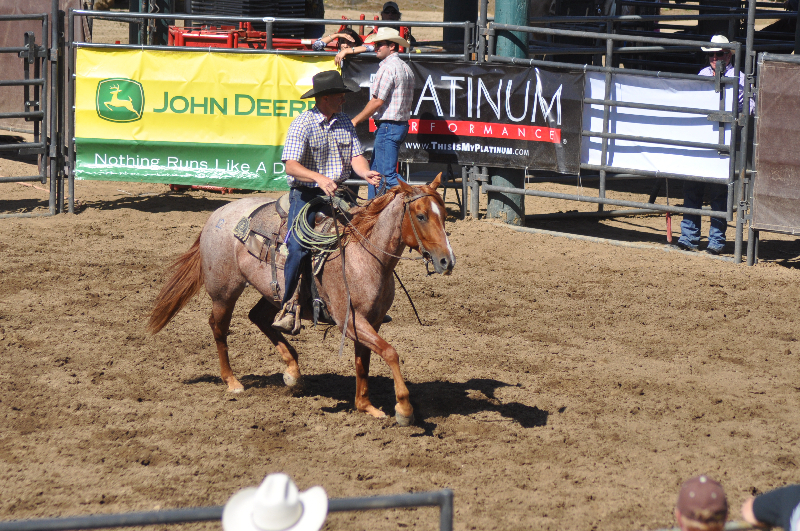 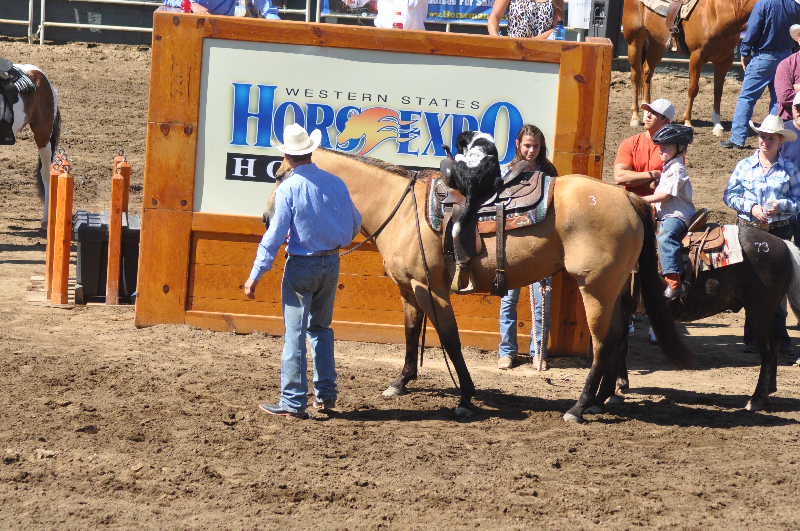 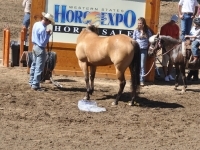 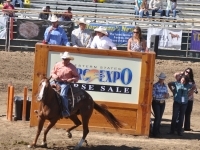 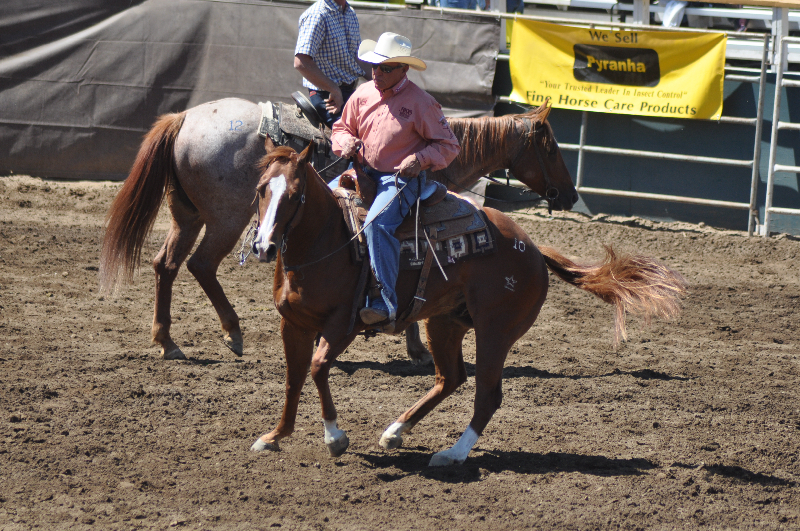 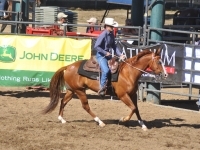 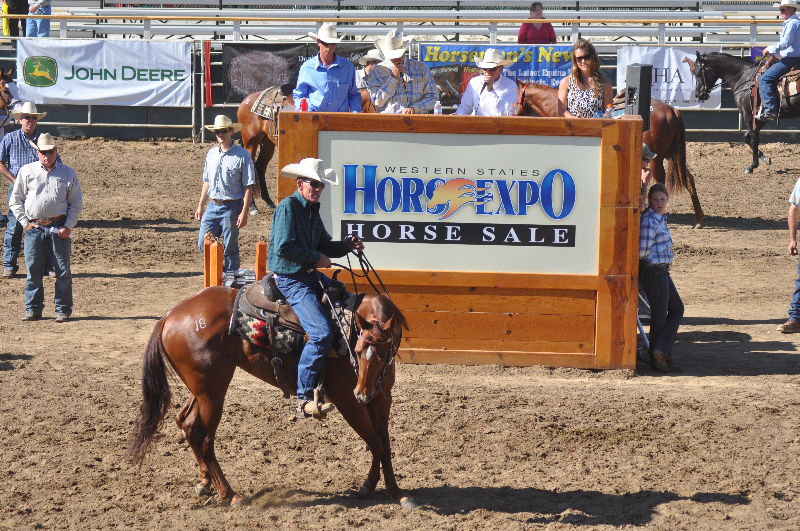 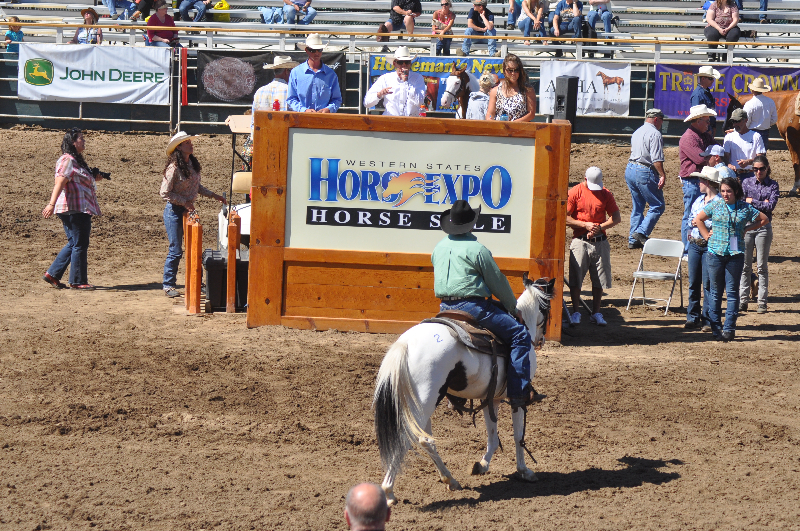 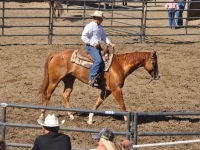 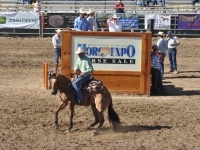 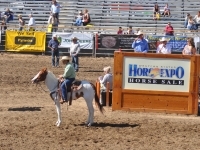 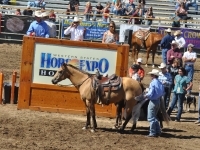 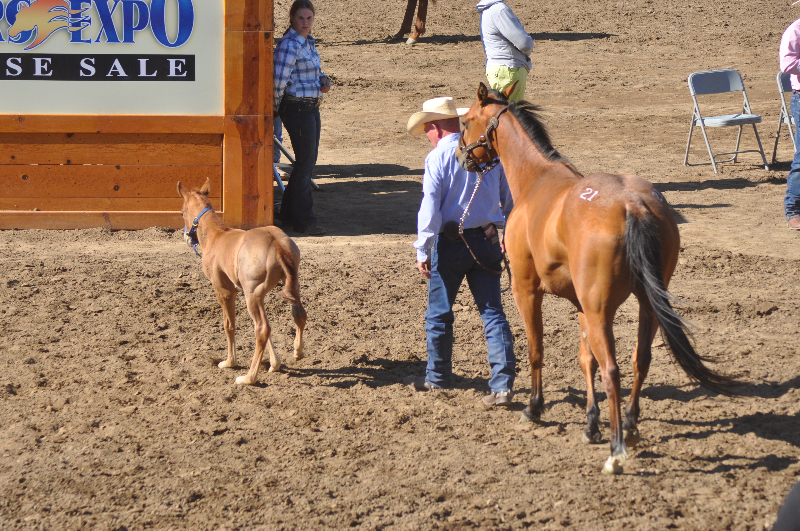 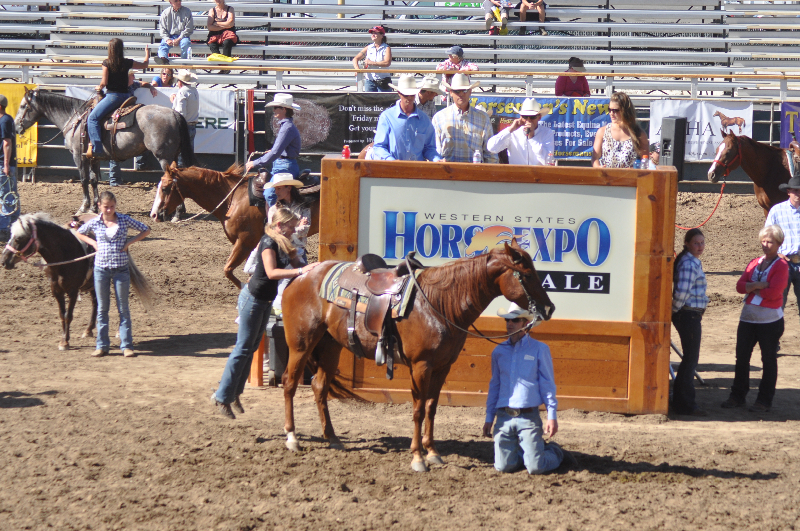 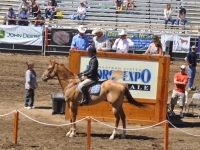 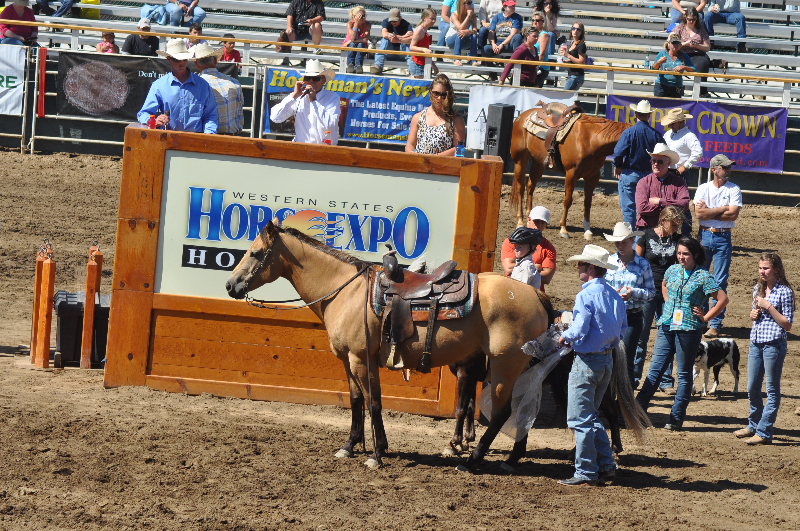 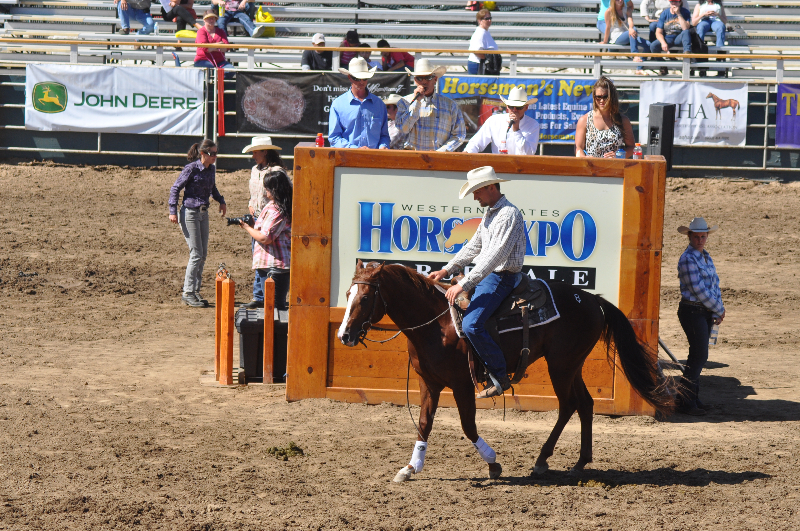 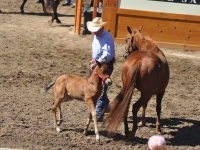 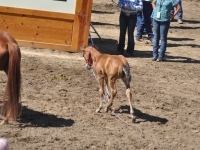 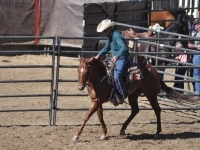 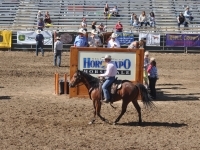 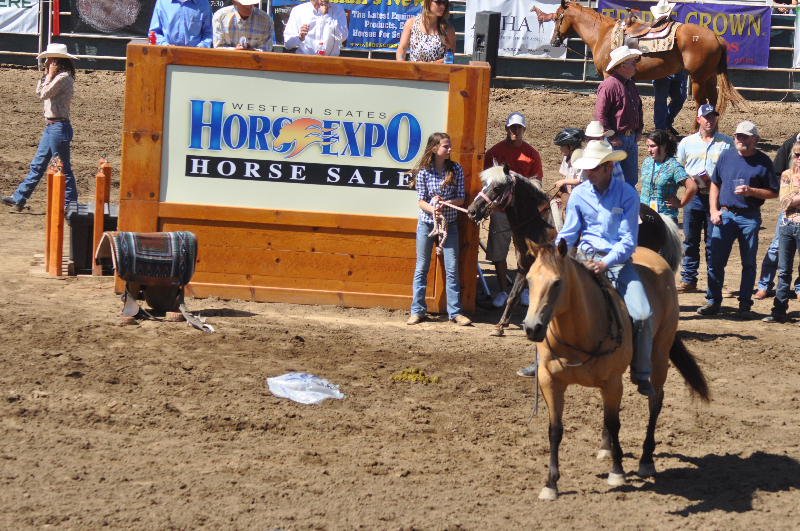 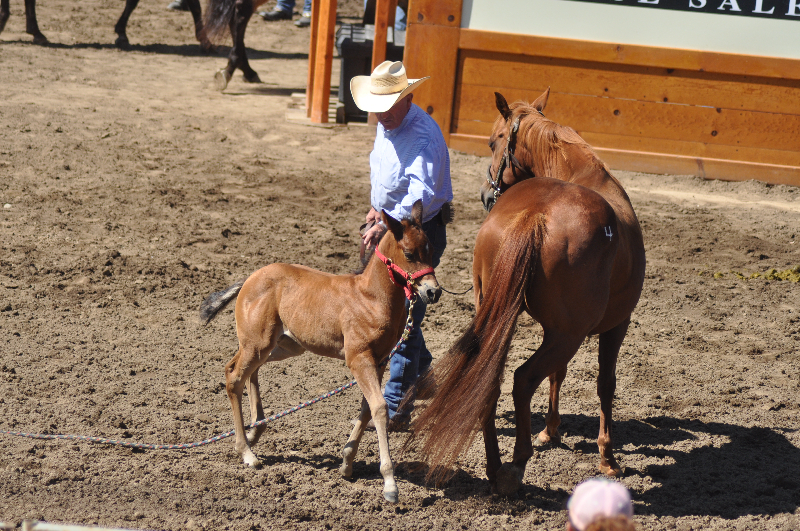 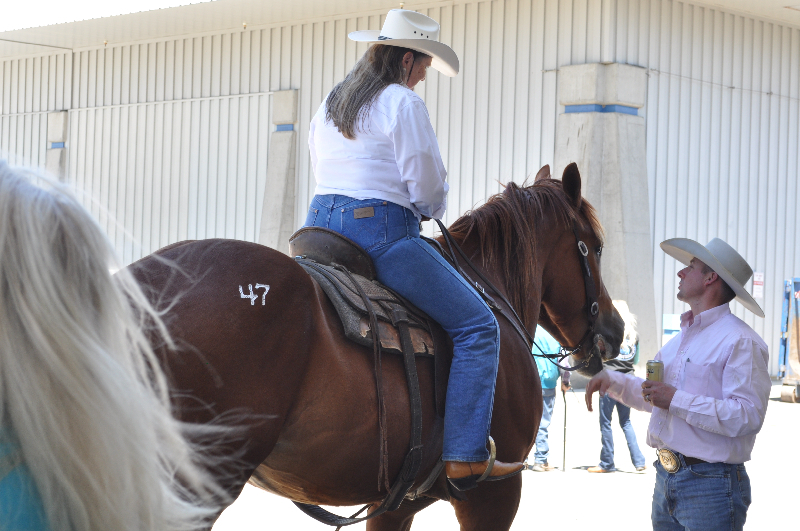 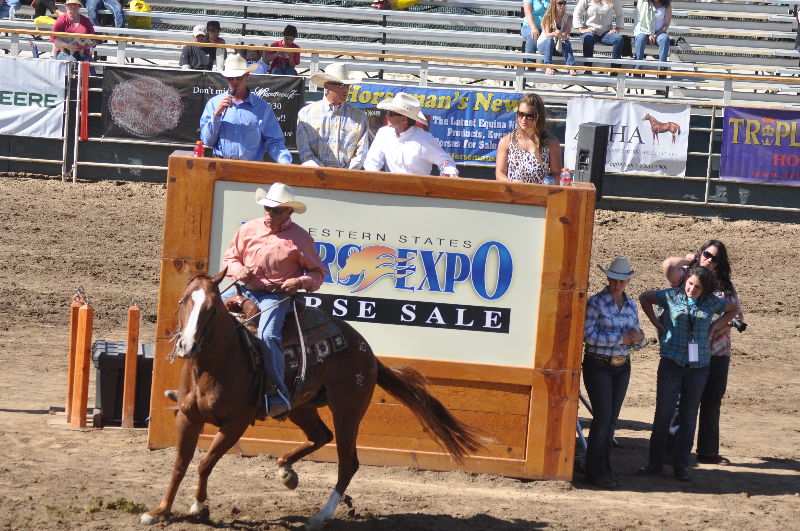 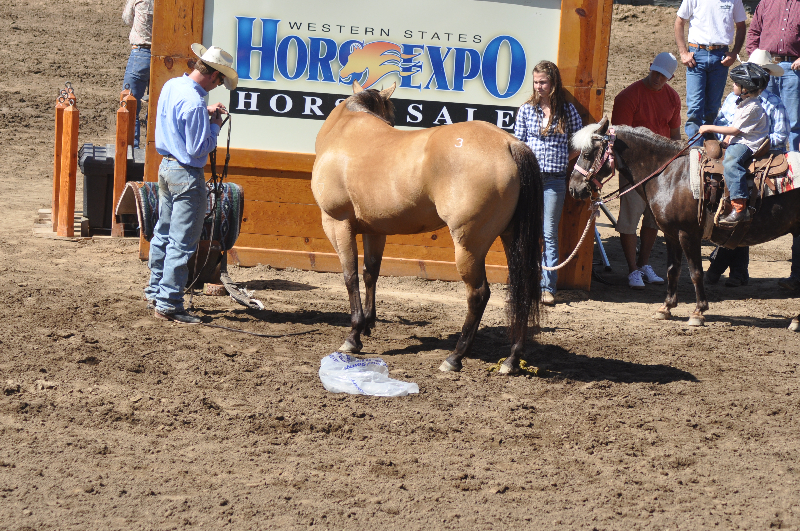 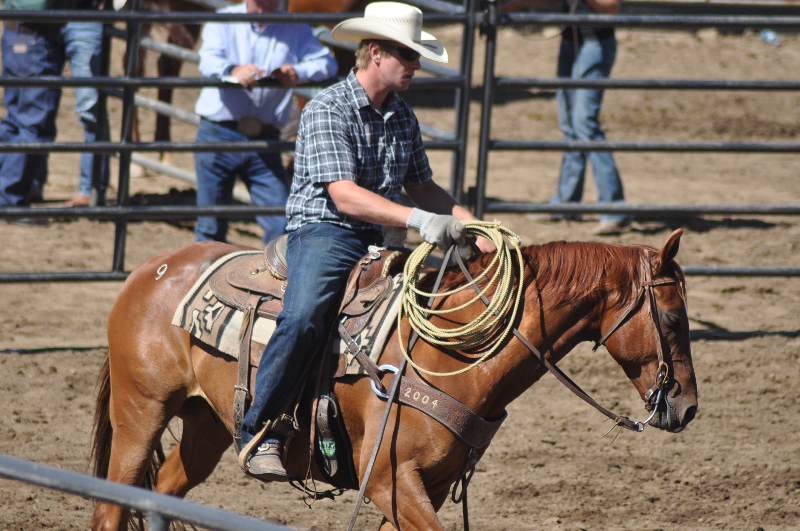 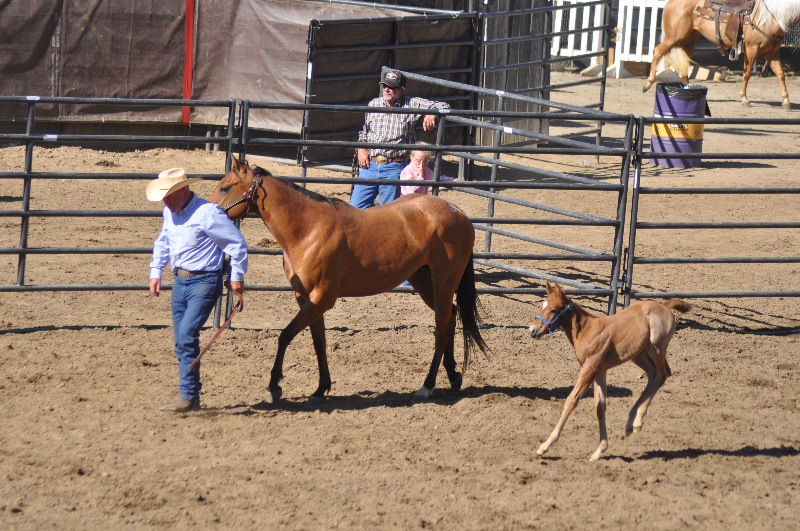 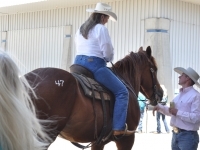 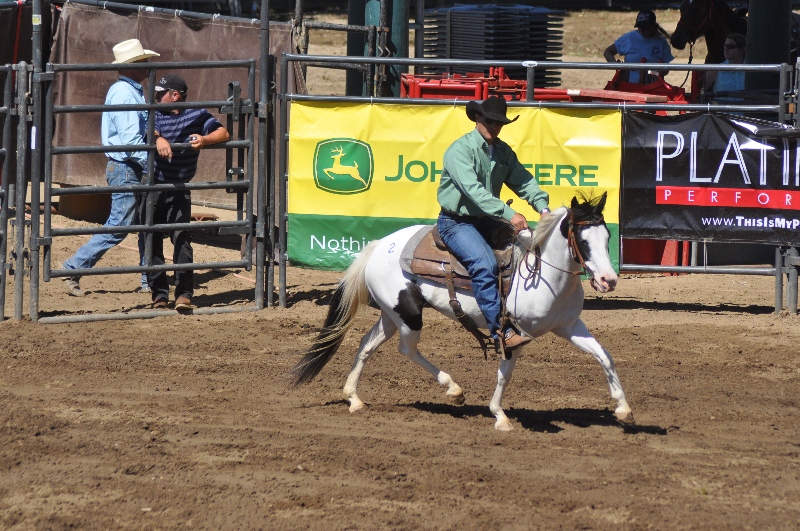 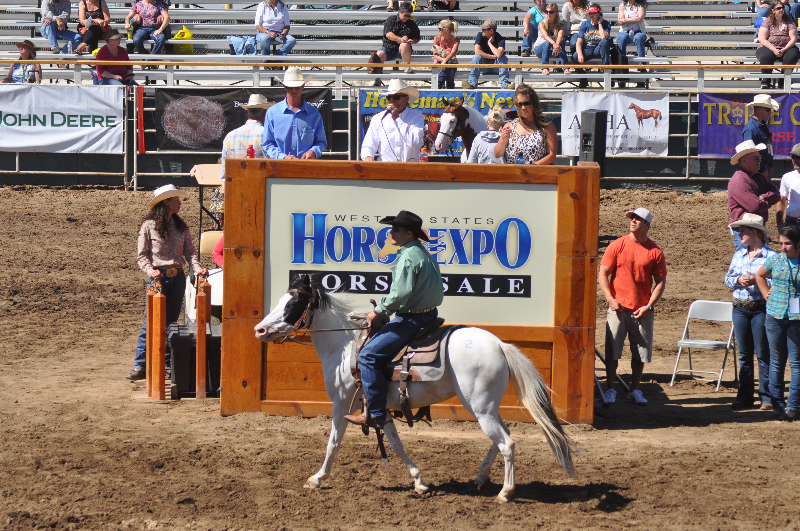 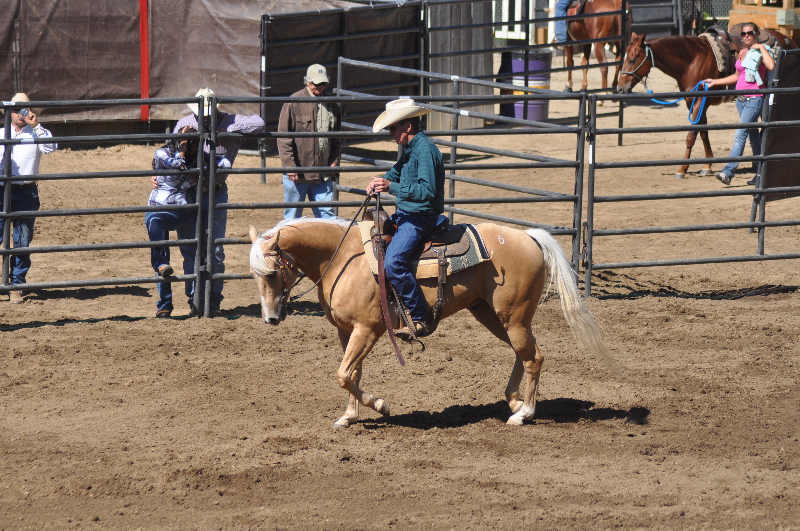 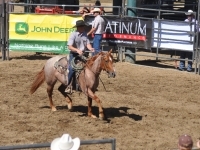 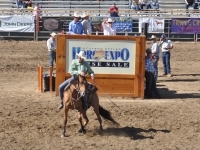 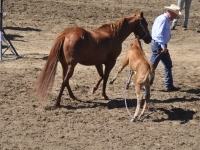 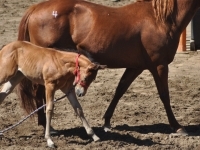 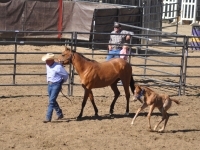 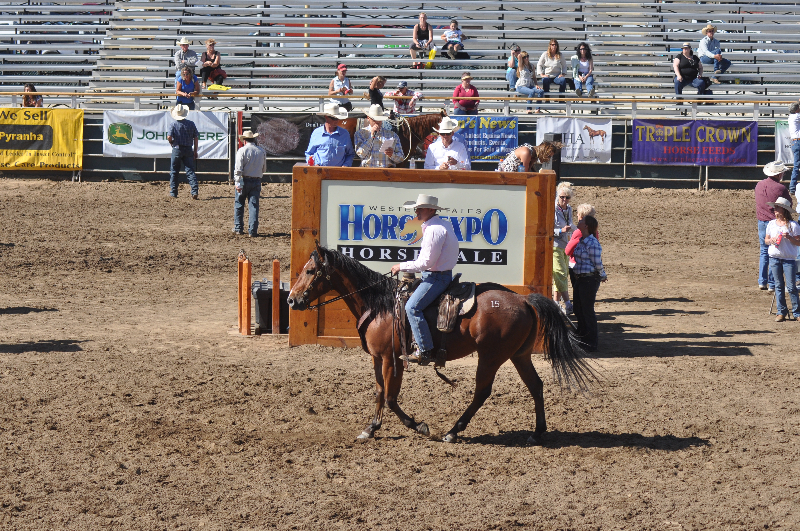 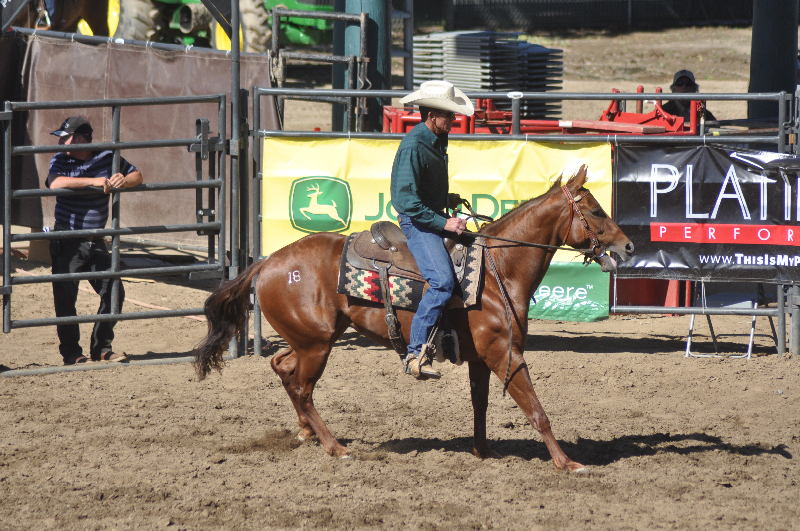 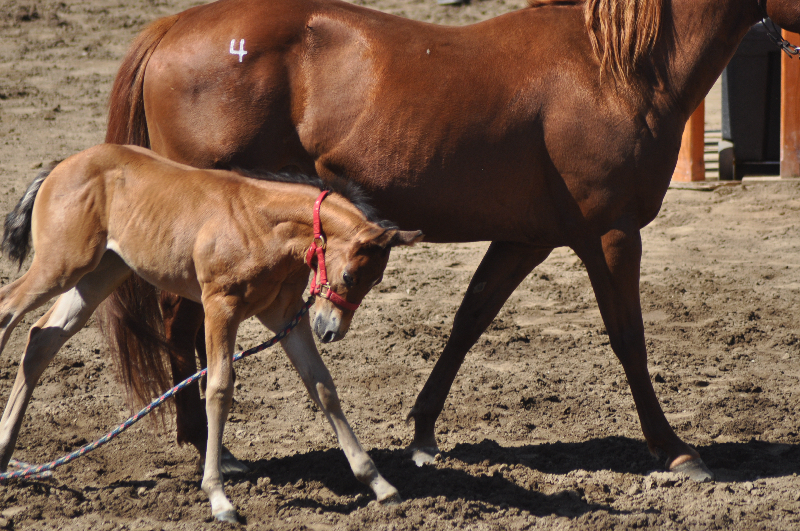 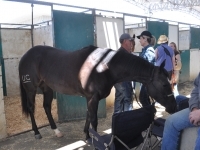 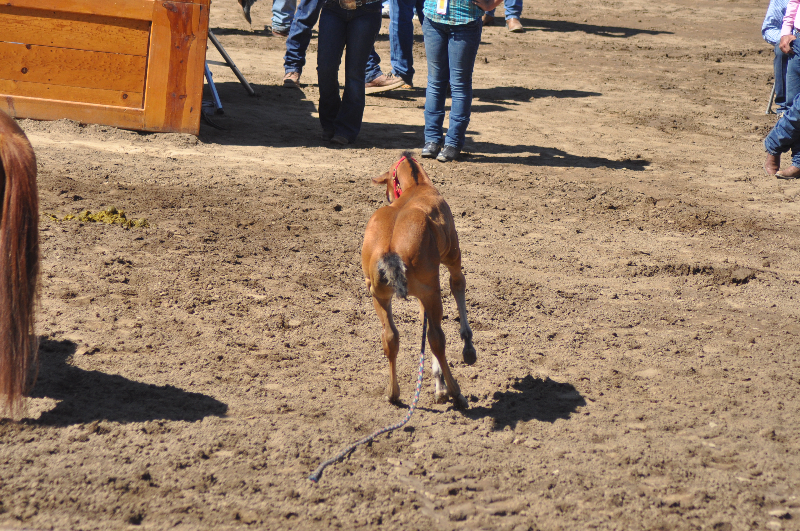 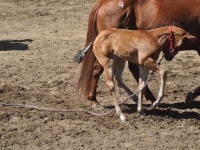 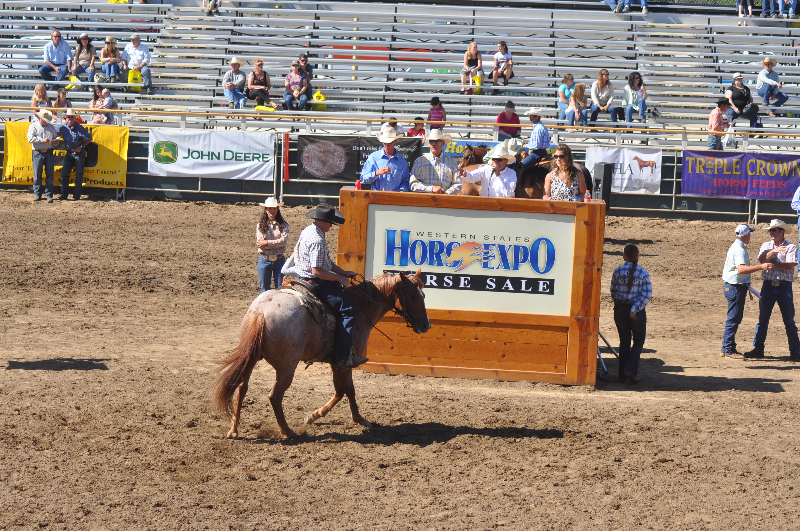 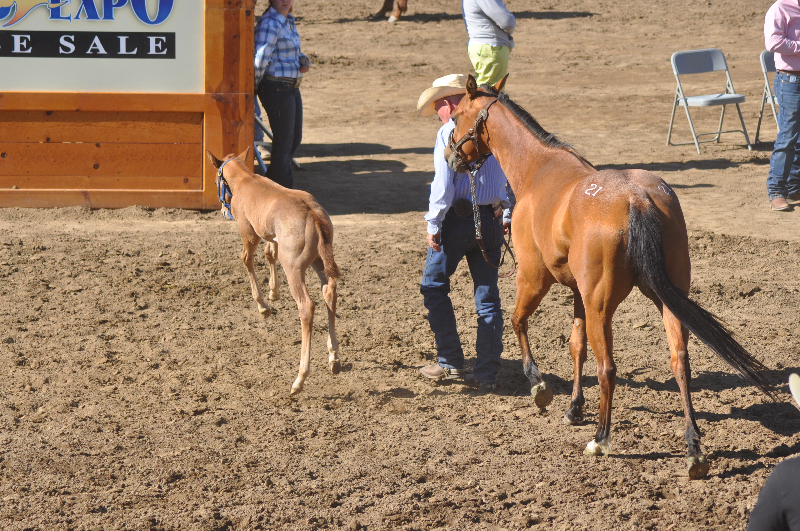 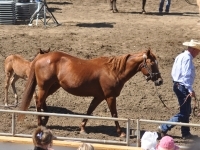 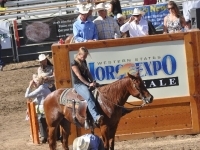 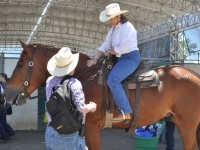 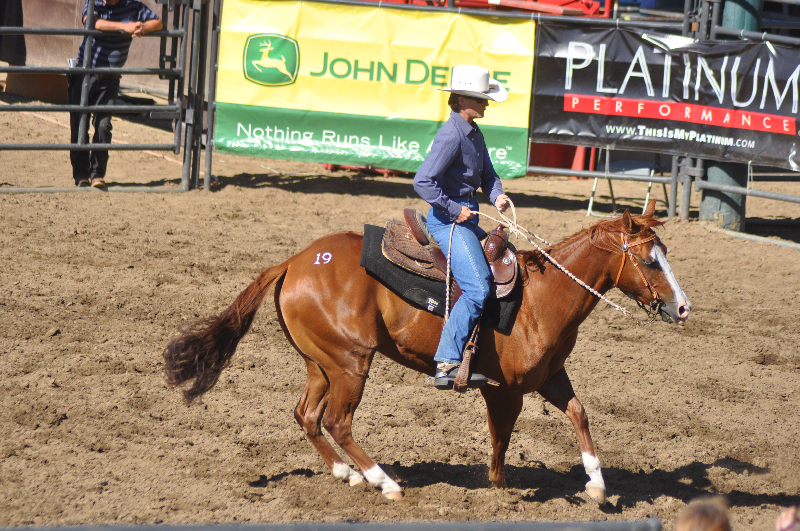 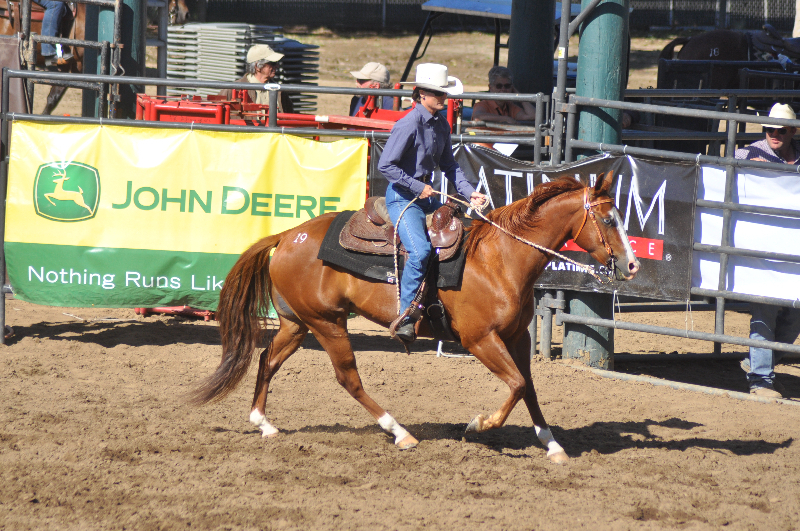 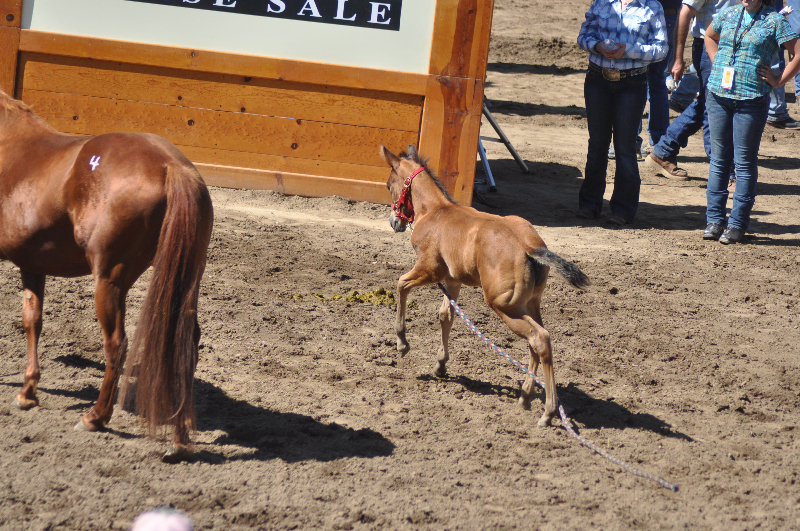 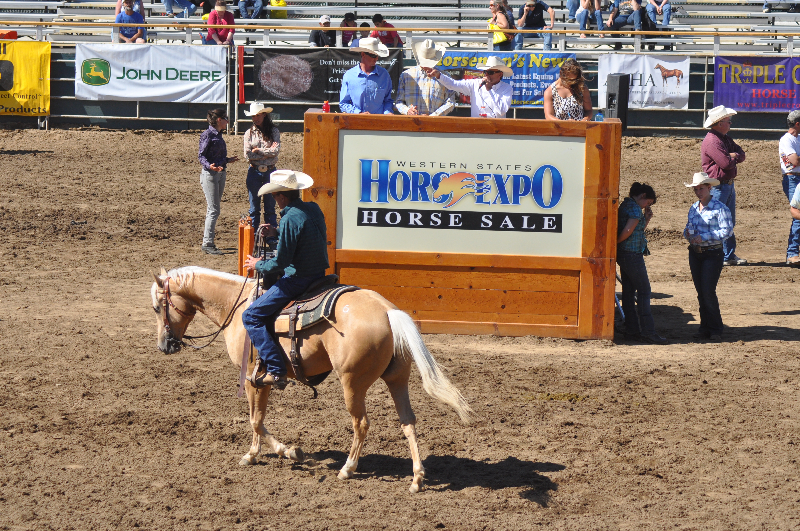 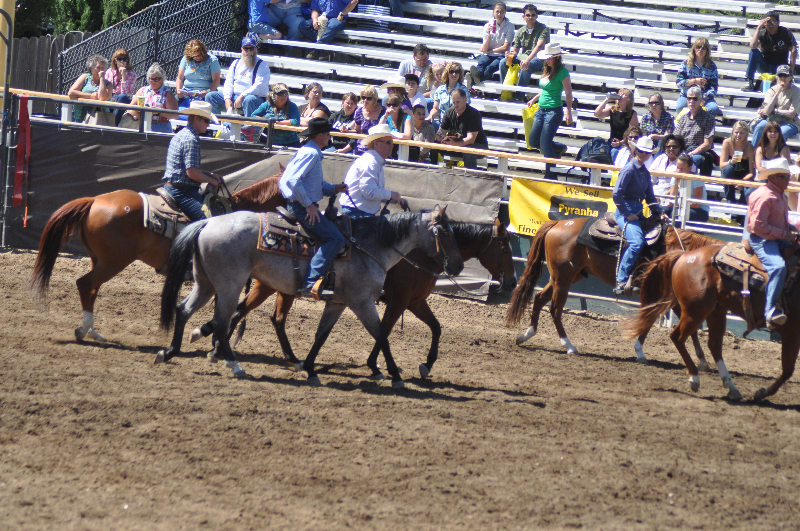 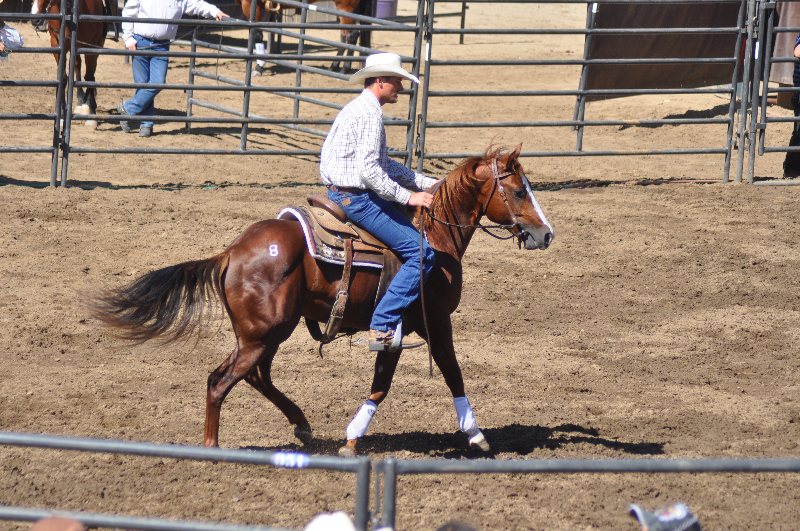 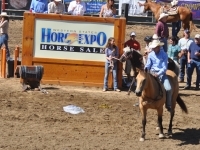 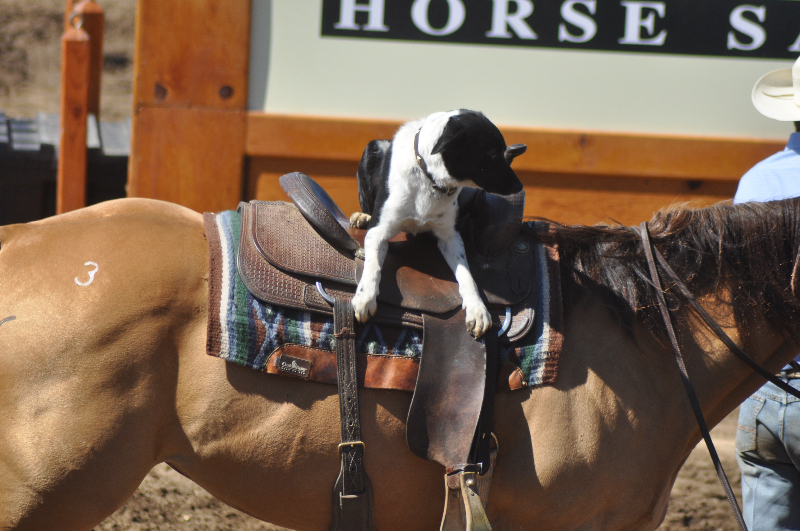 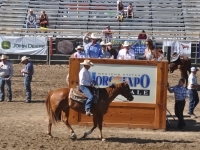 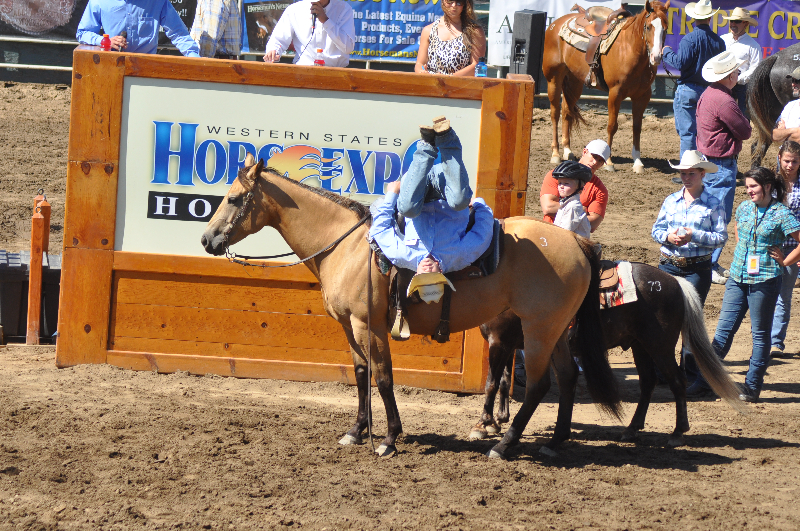 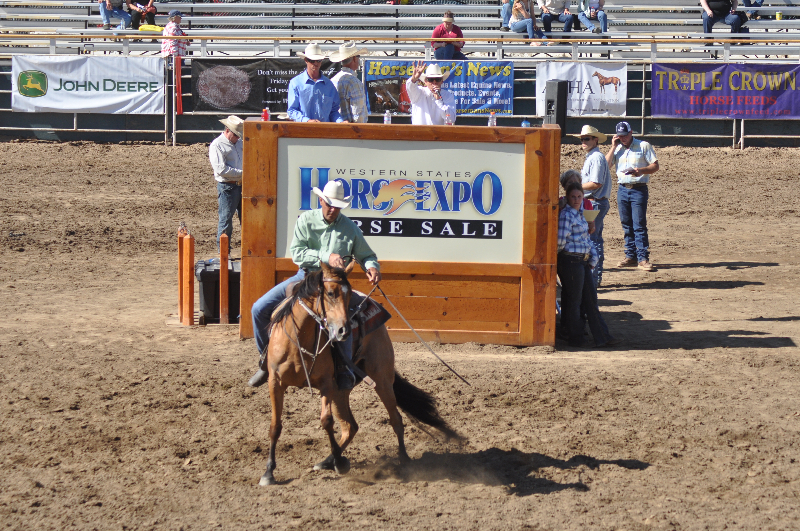 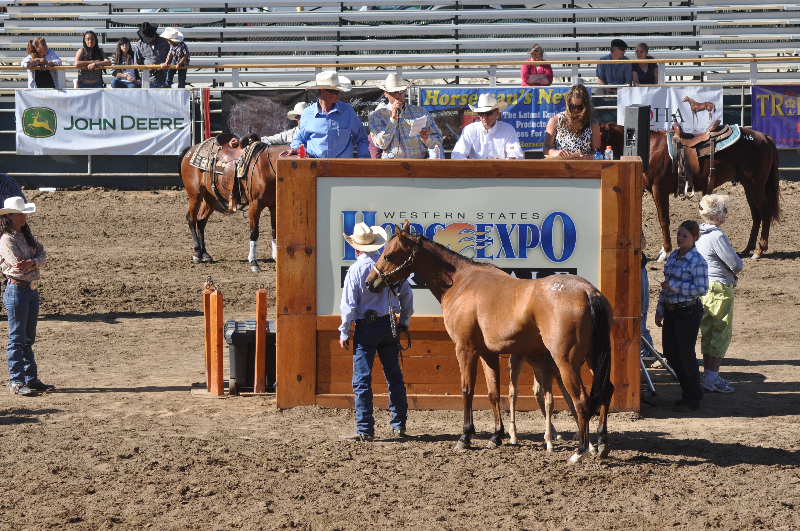 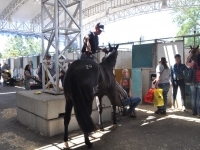 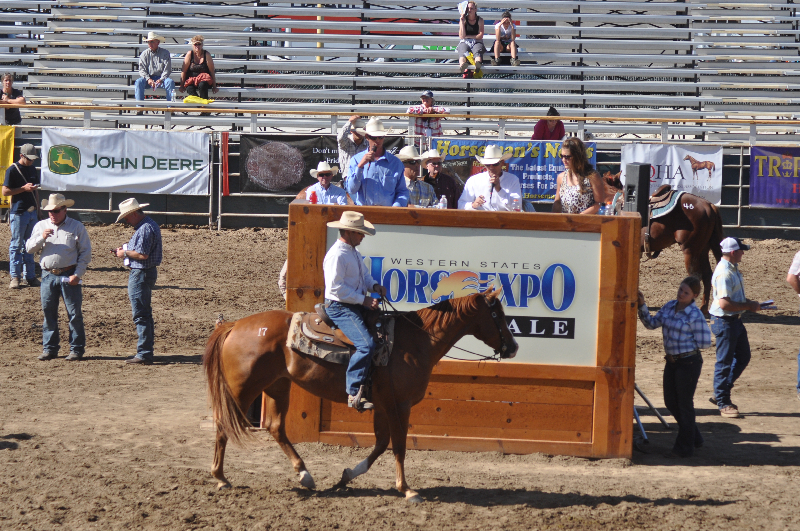 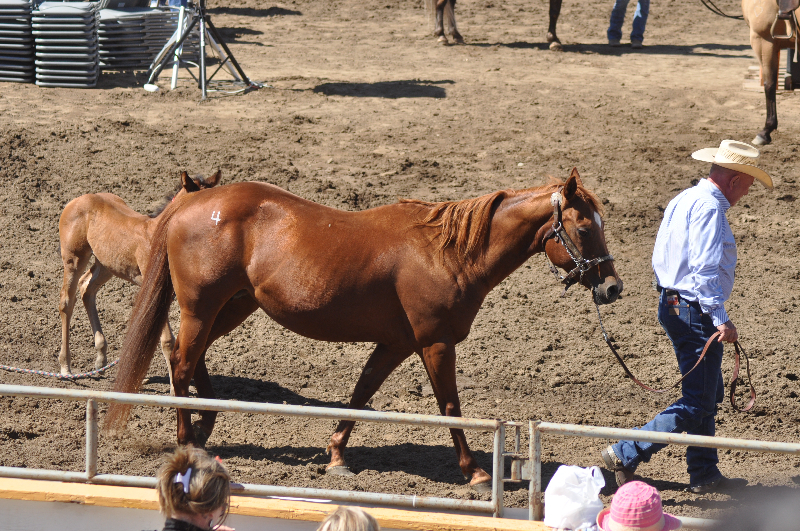 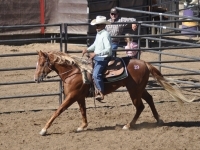 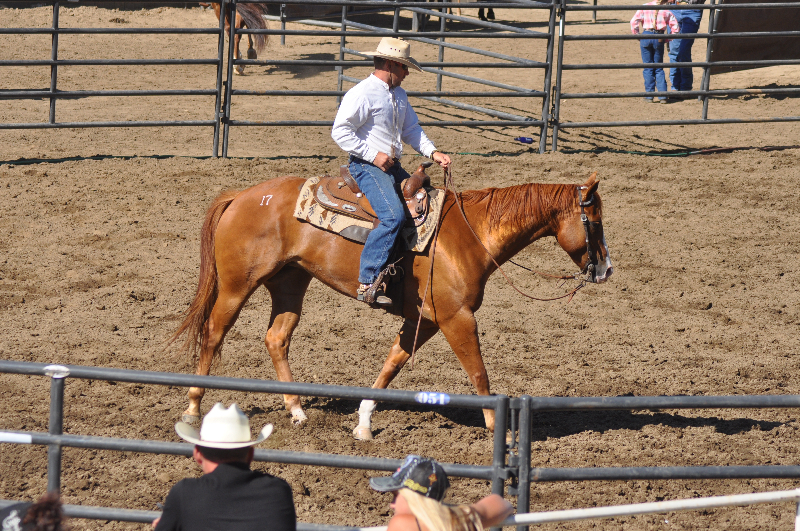 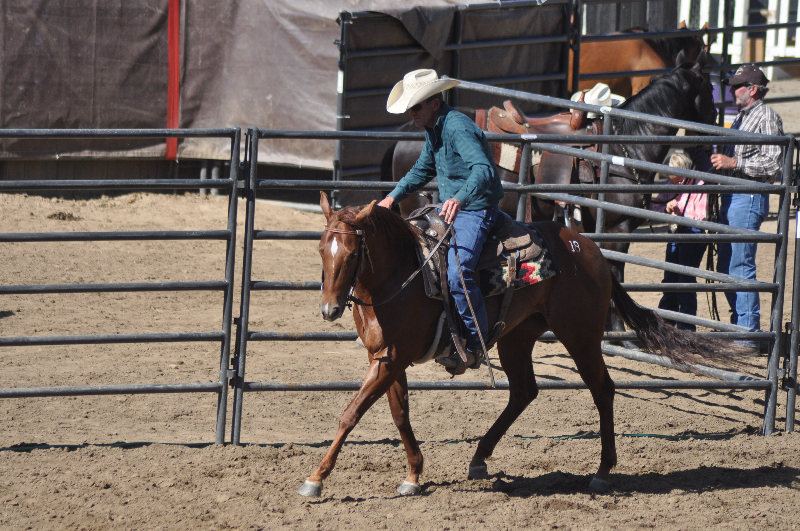 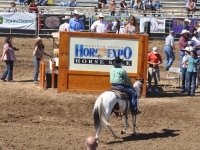 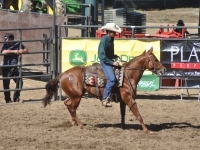 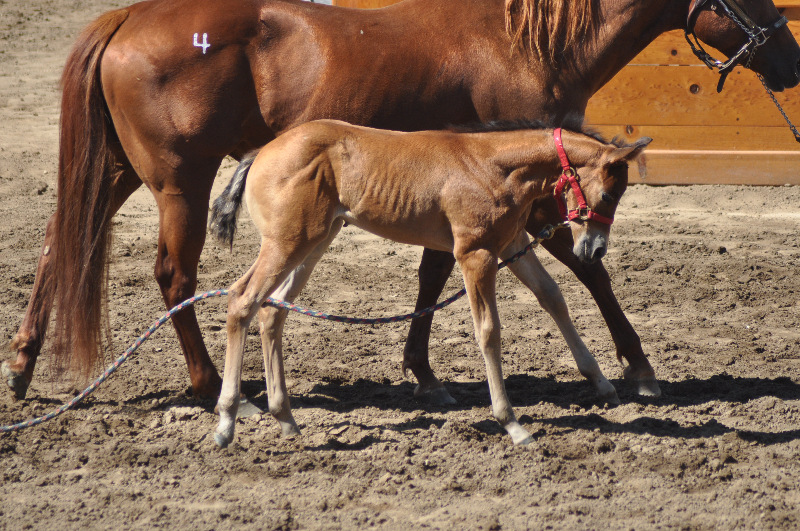 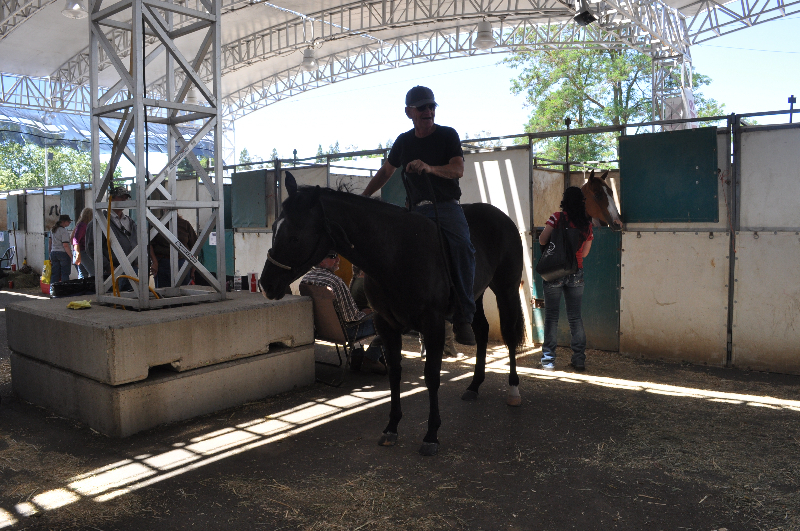 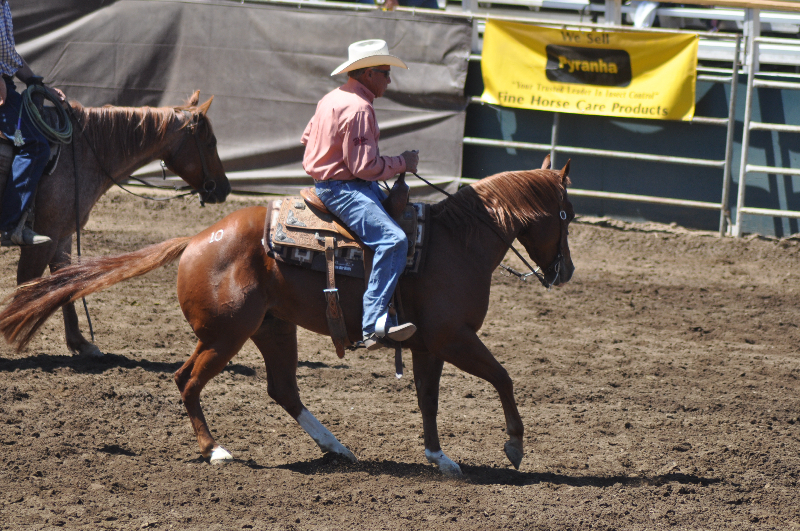 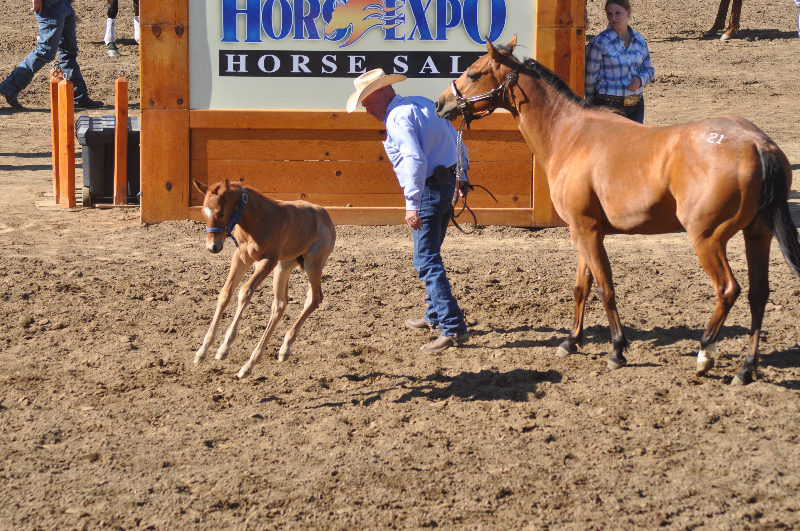 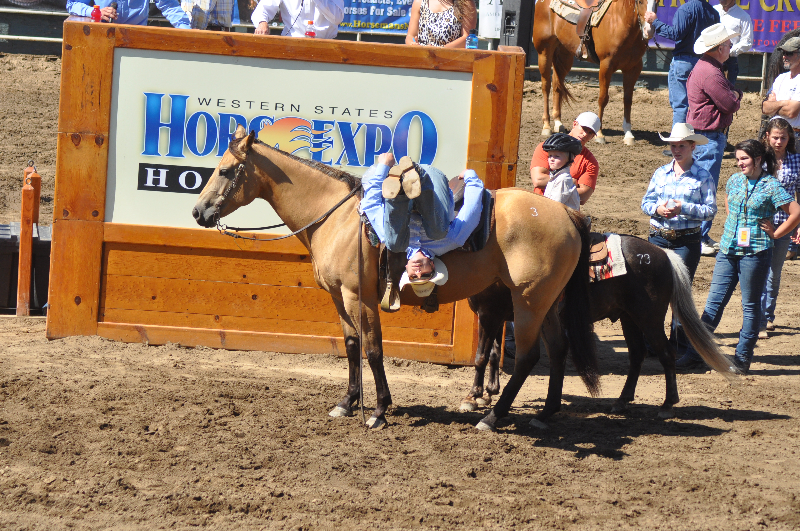 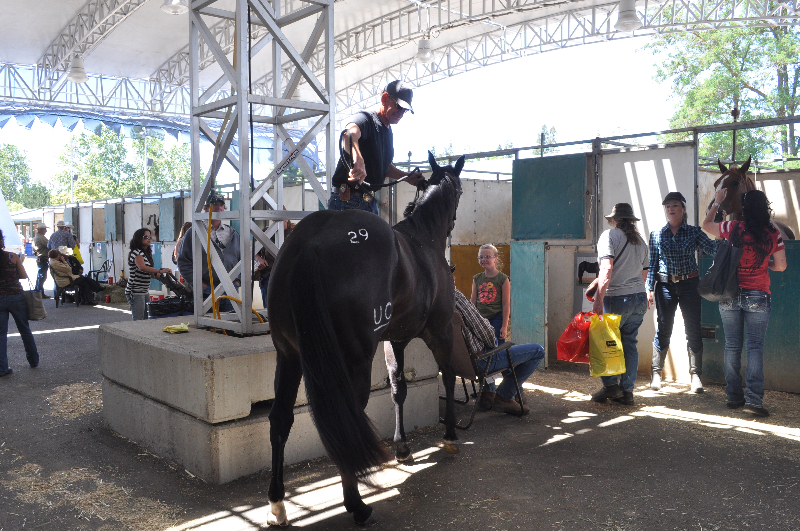 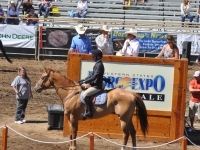 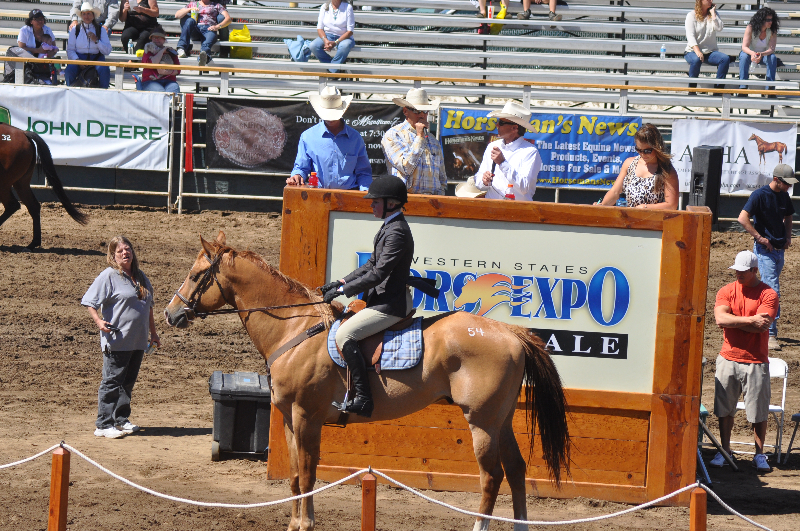 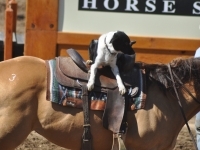 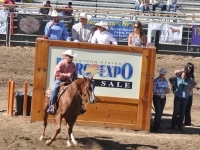 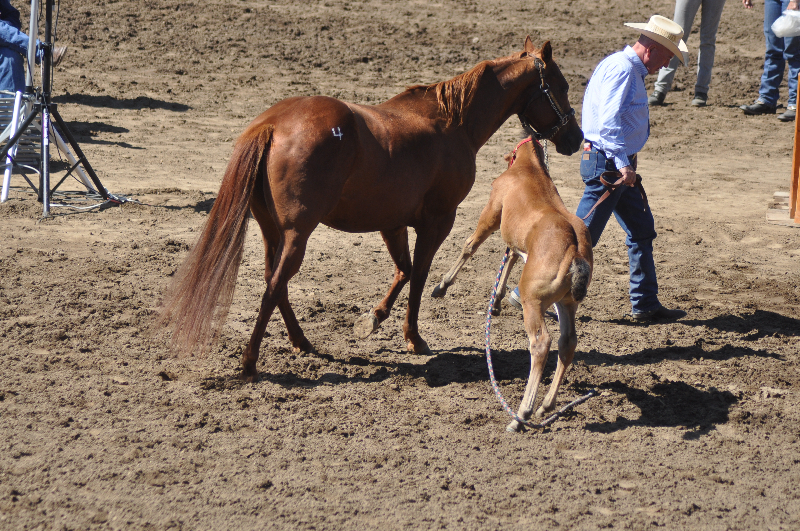 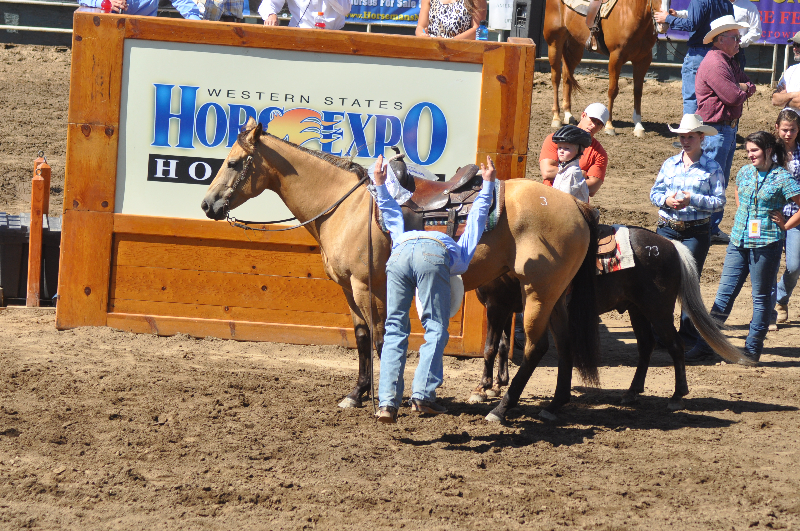 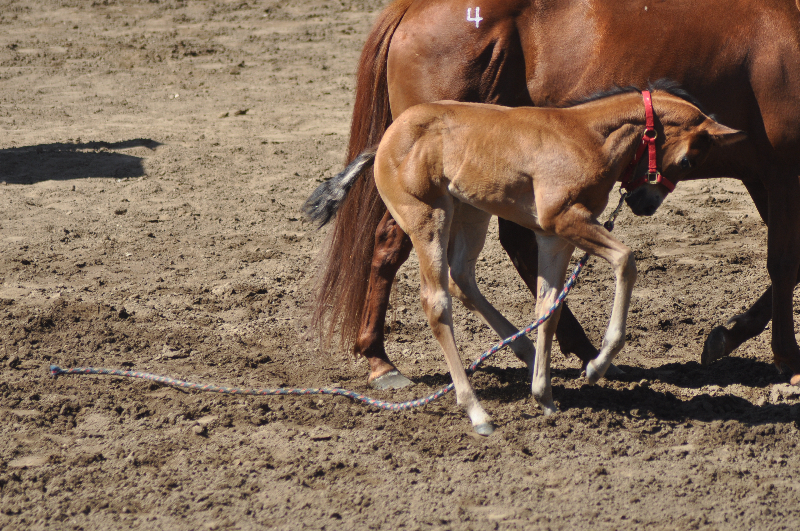 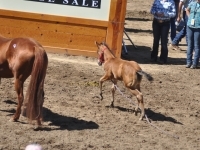 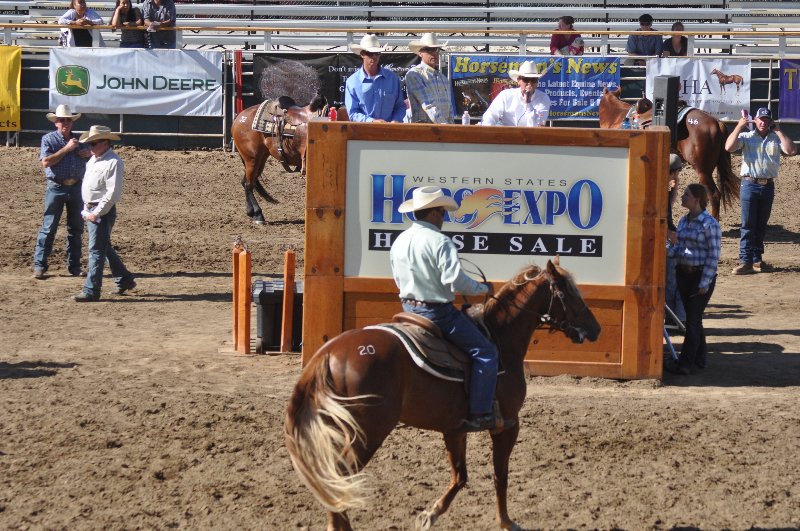 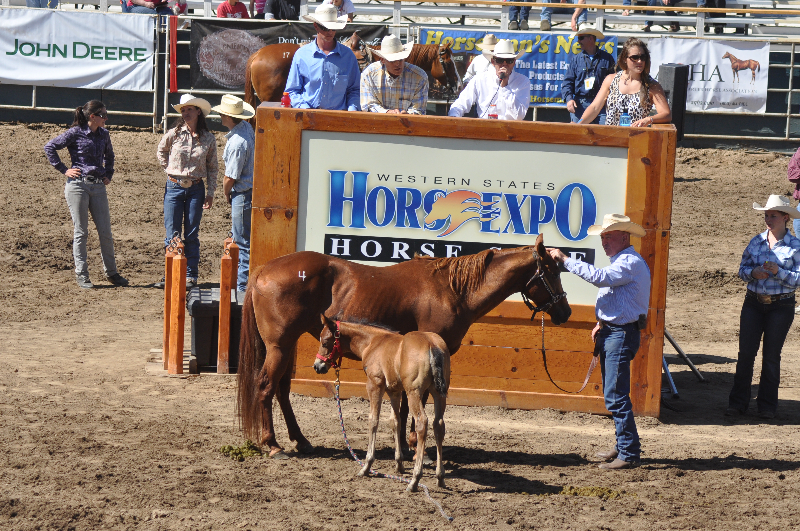 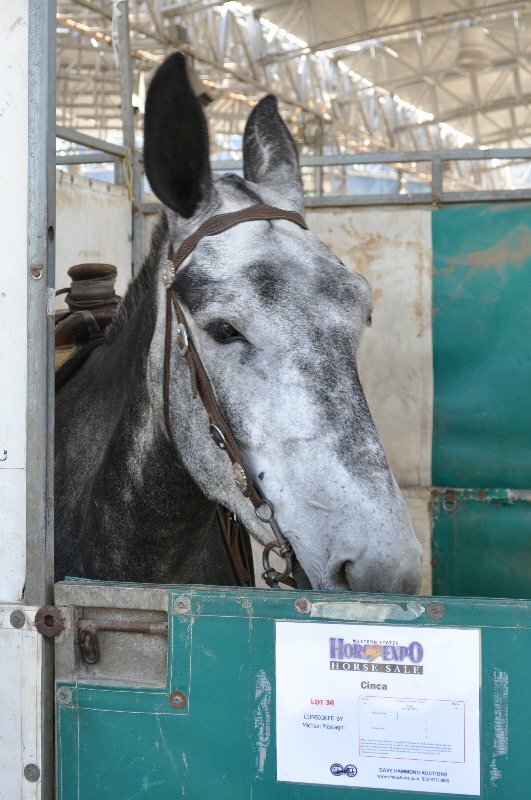 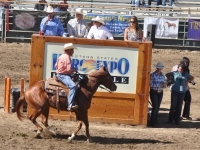 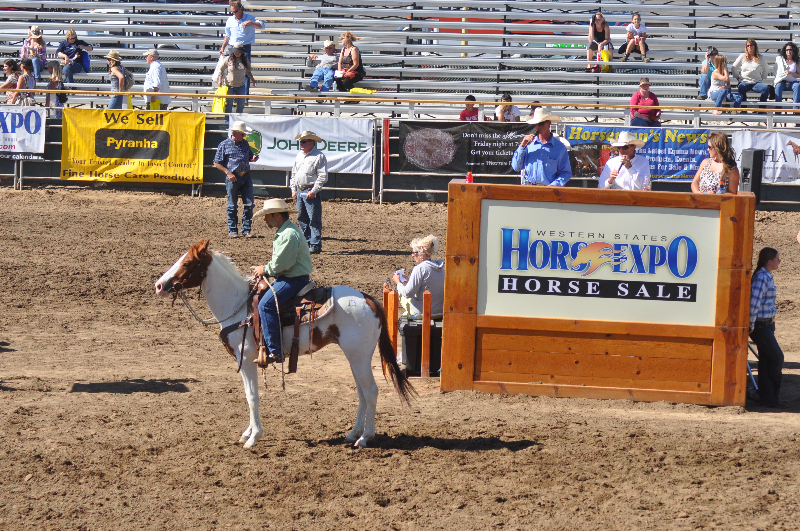 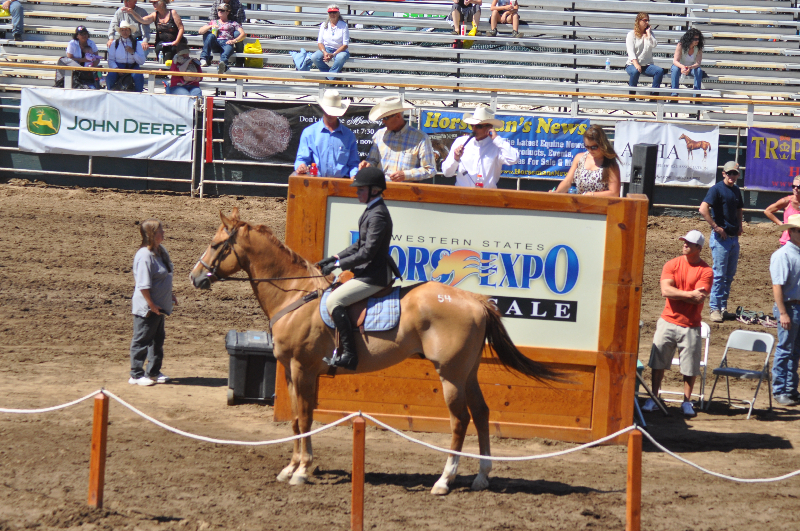 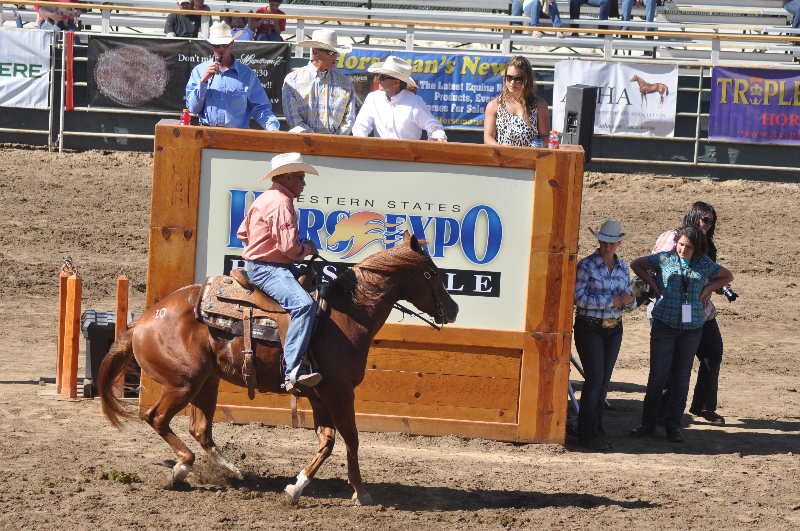 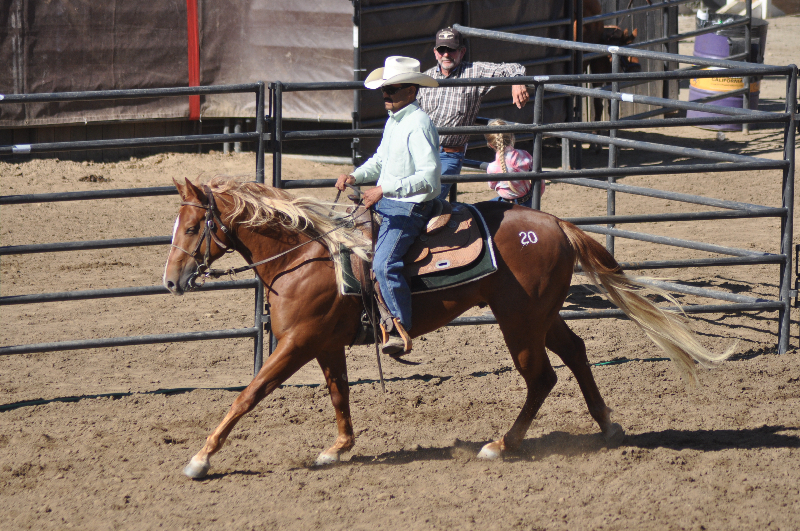 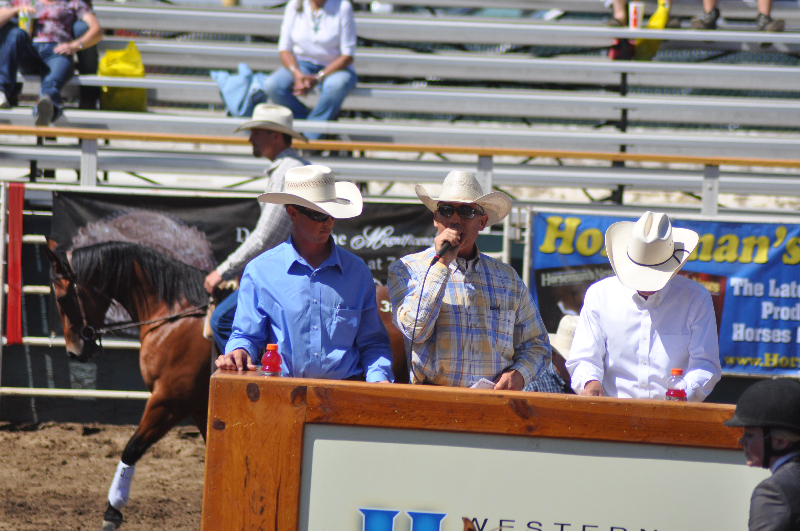 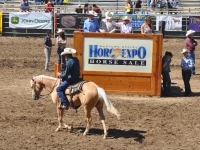 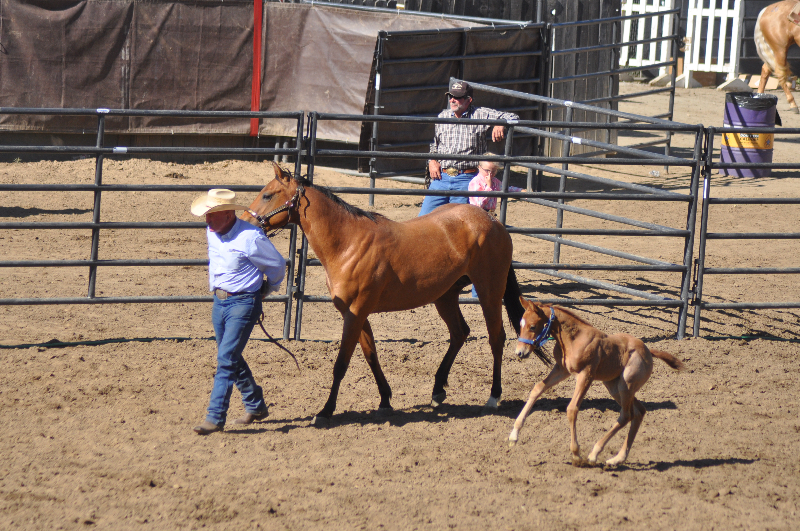 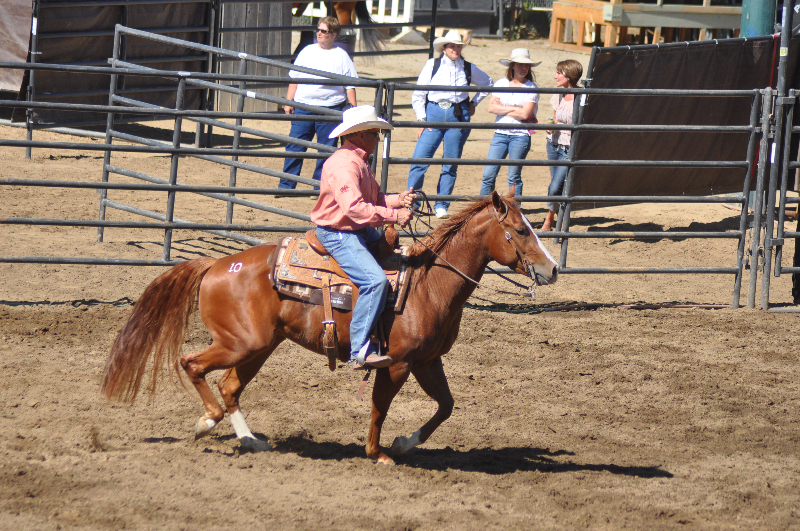 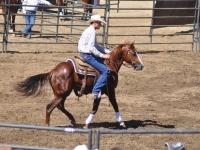 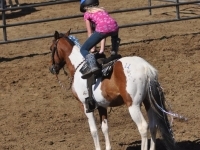 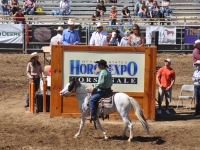 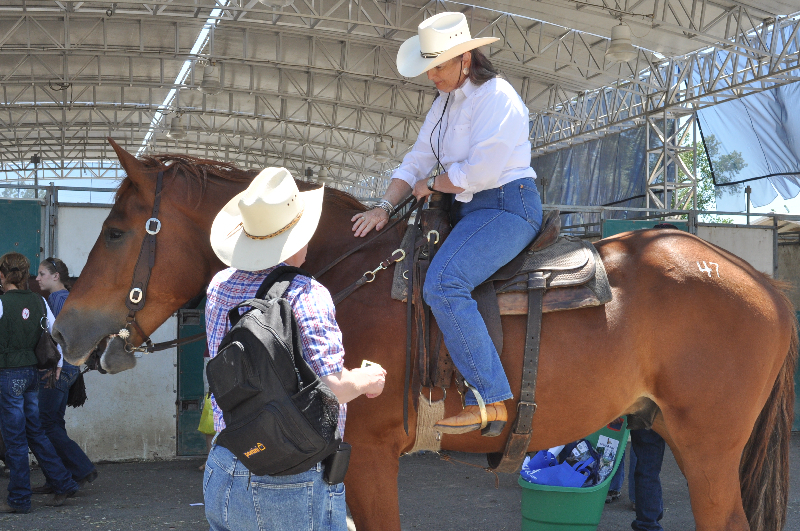 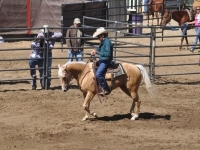 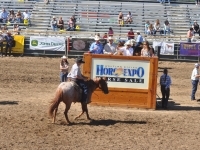 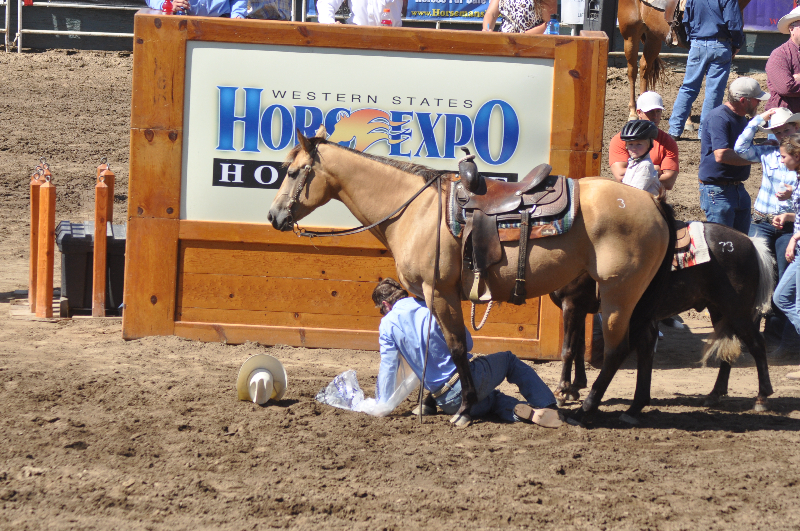 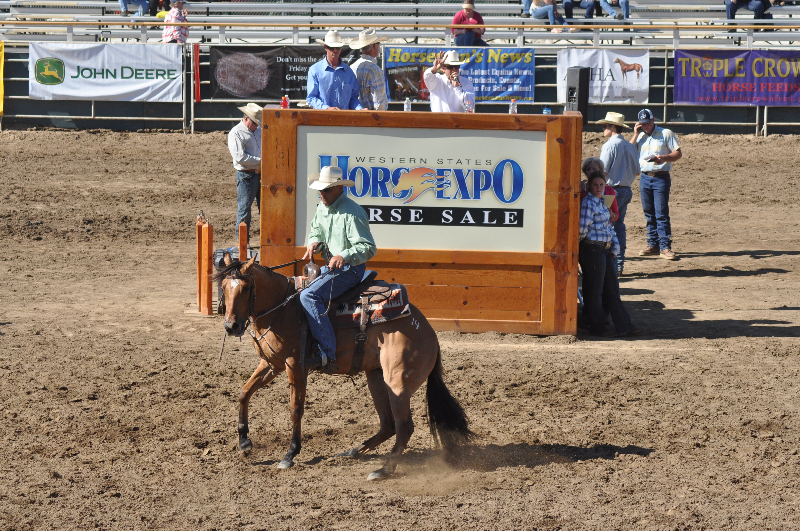 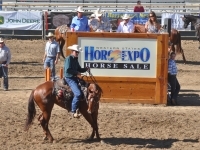 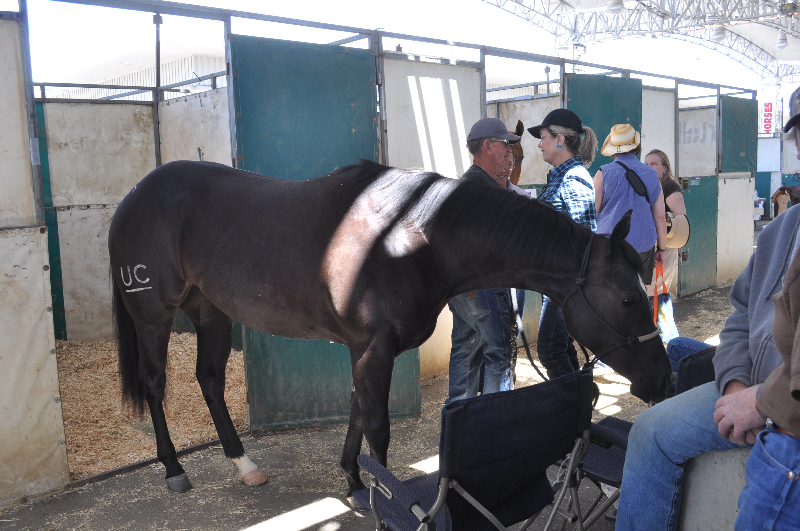 Possibly one of the most popular activities to watch at Horse Expo is the sale. 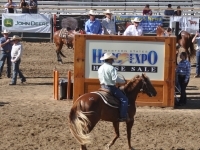 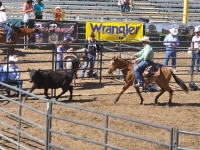 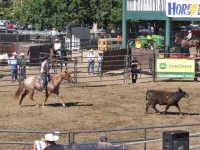 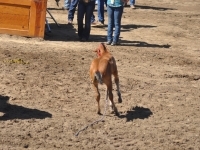 The sale has outgrown it’s usual locations and was presented in the large rodeo arena (Ram Truck Freedom Arena) so everyone could come and watch. 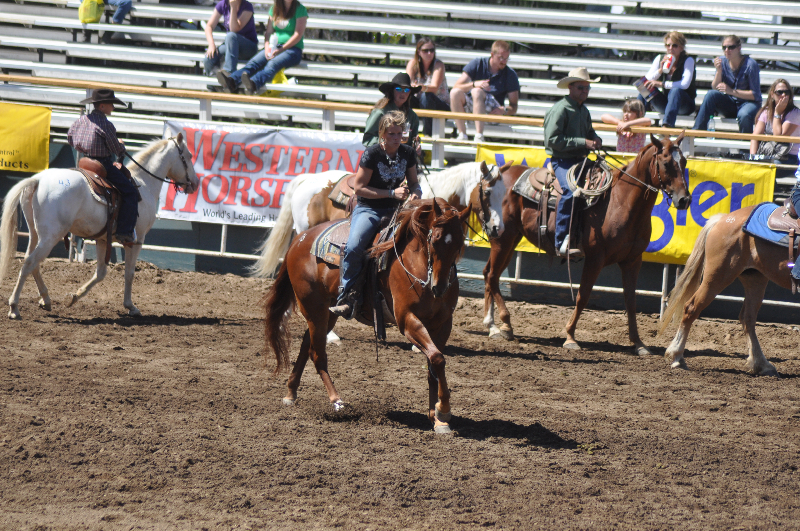 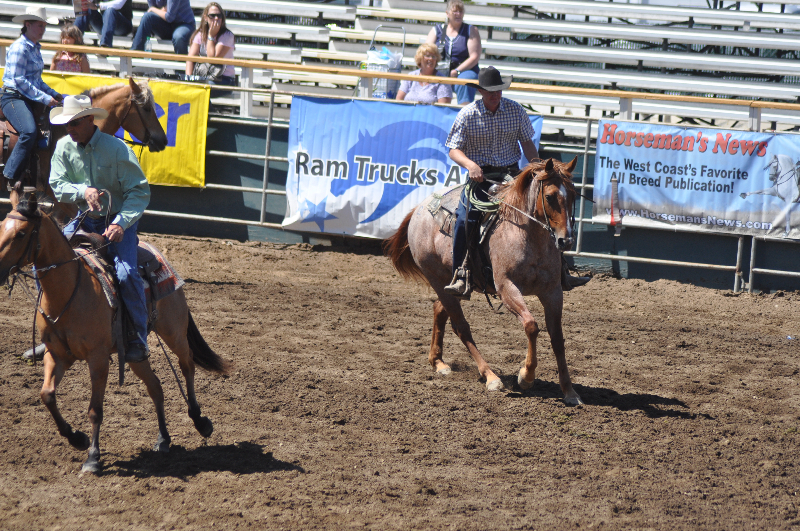 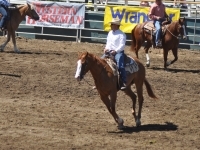 The wind made for some exciting moments, but both horses and riders managed it well. 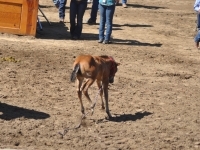 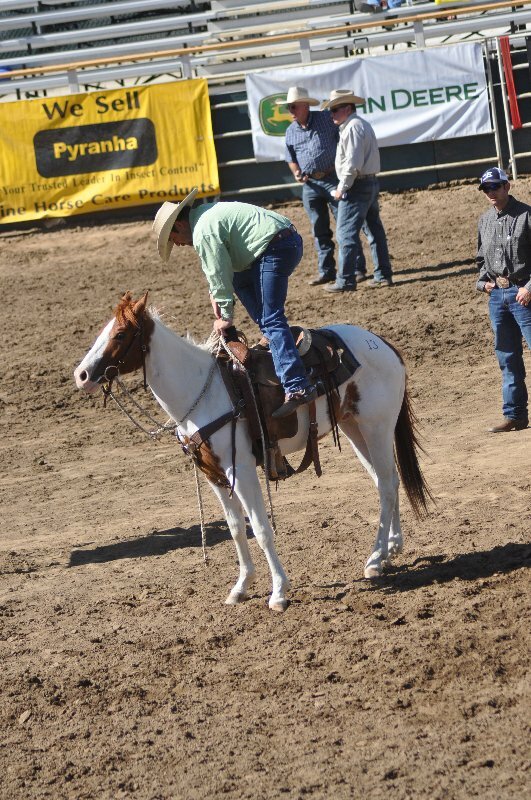 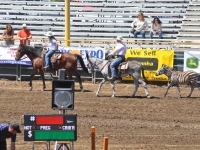 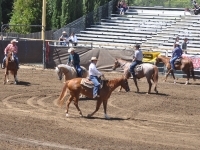 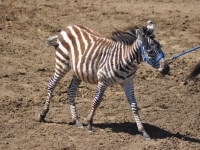 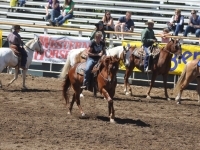 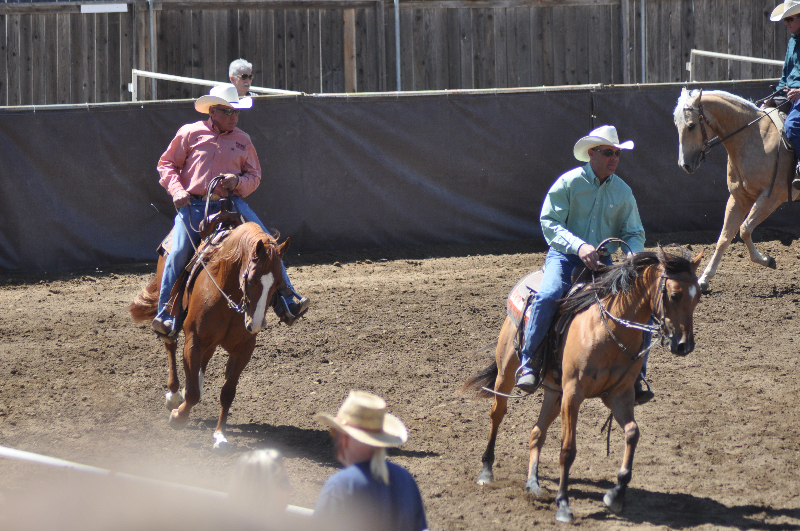 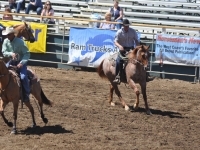 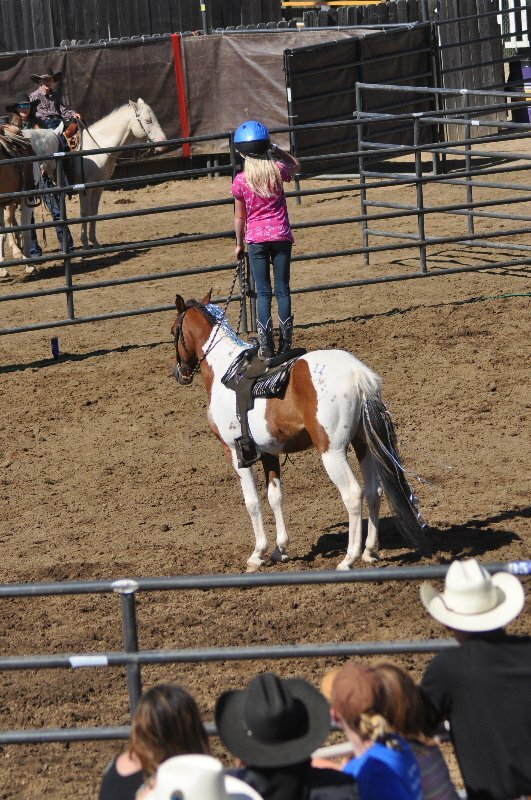 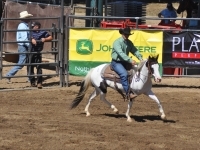 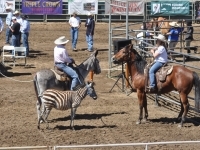 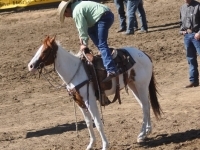 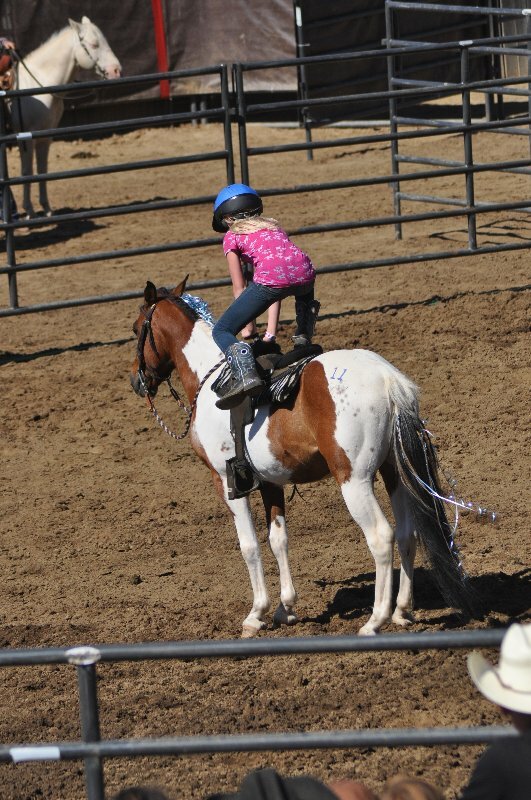 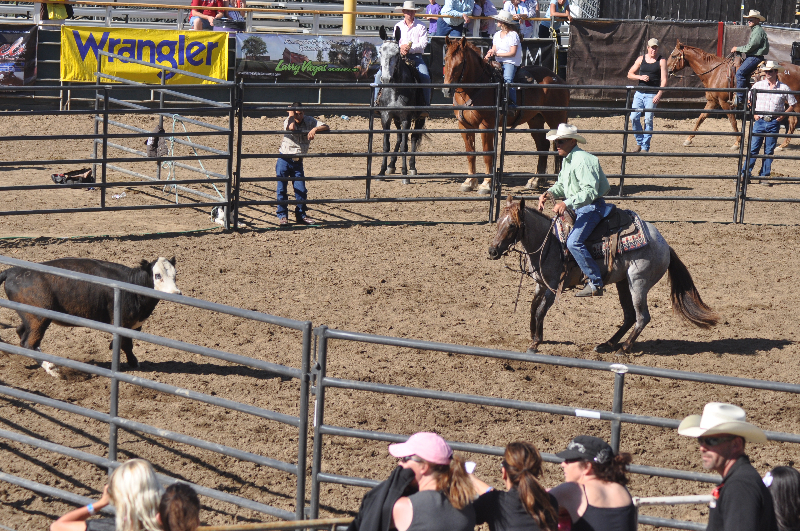 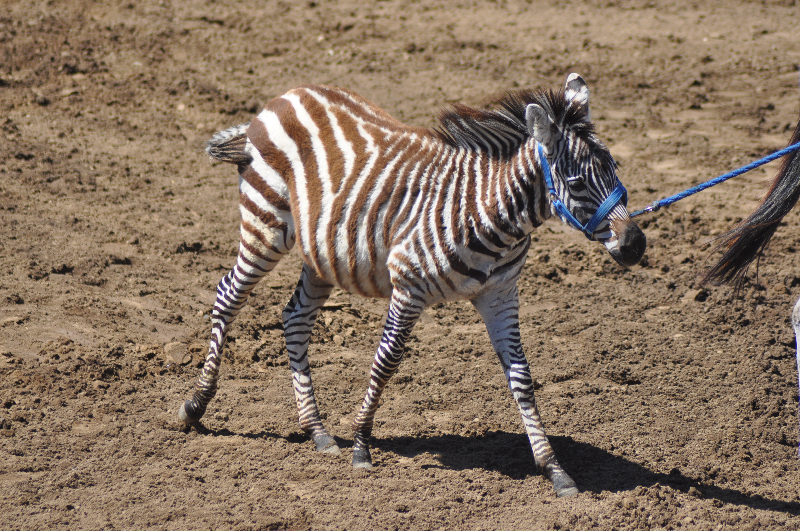 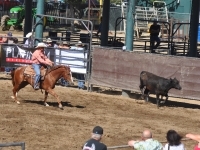 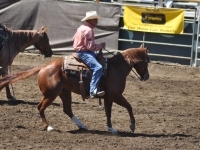 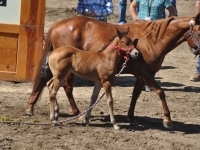 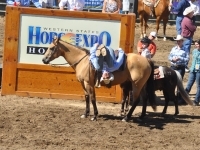 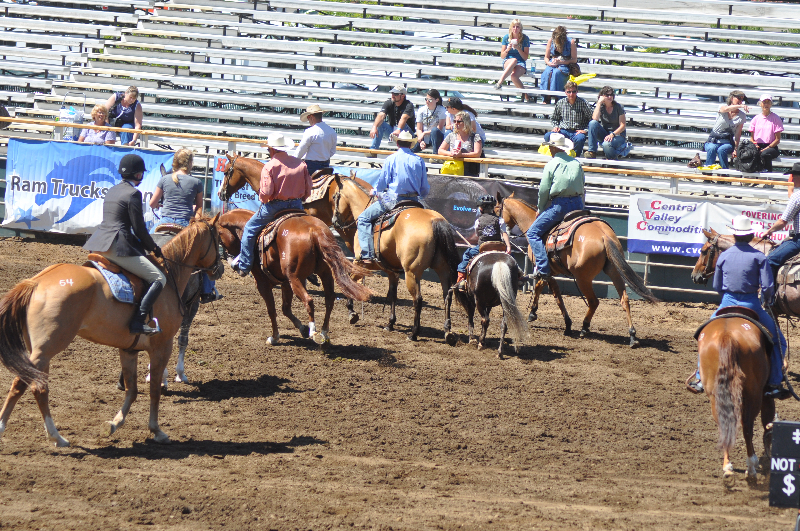 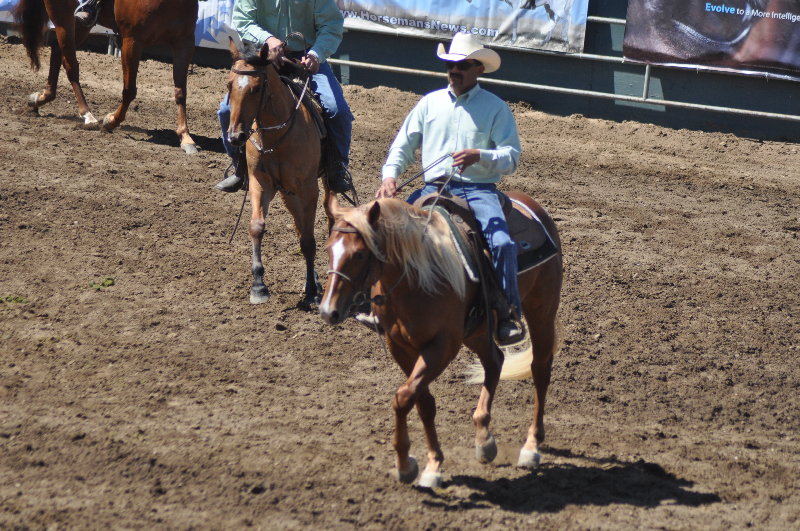 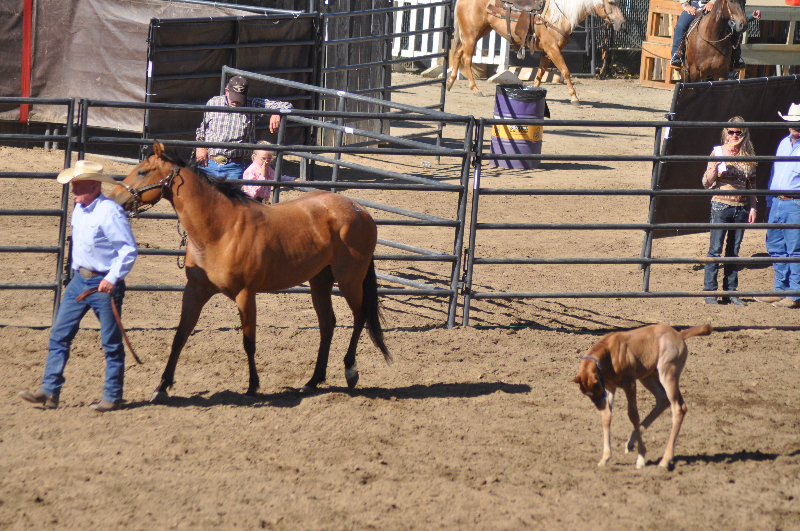 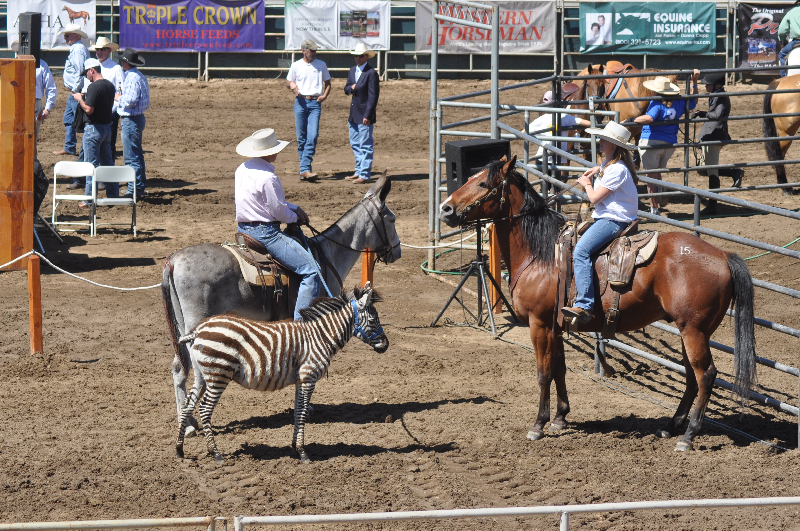 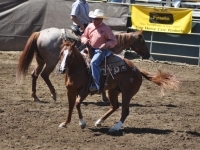 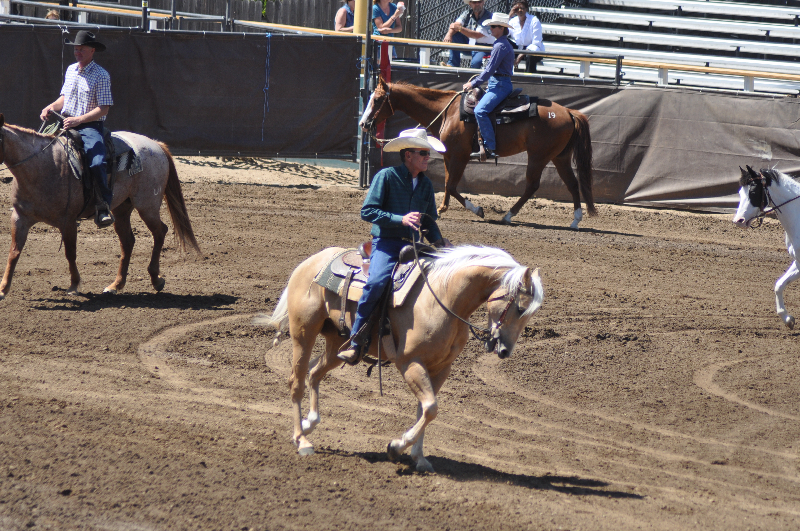 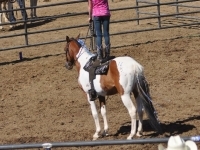 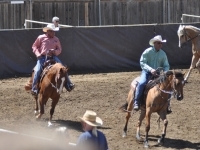 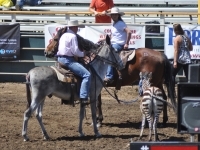 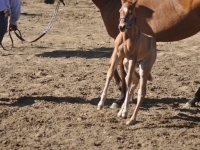 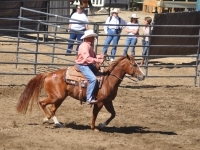 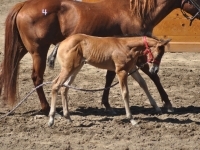 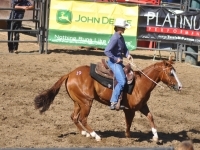 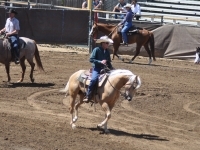 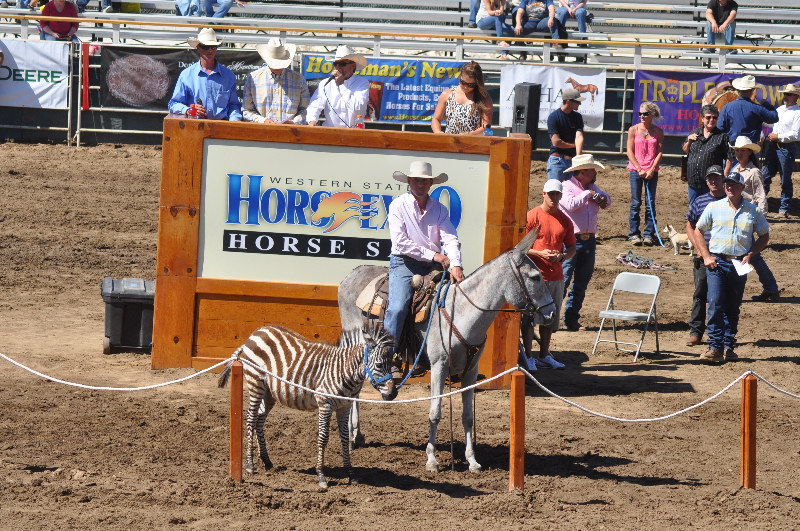 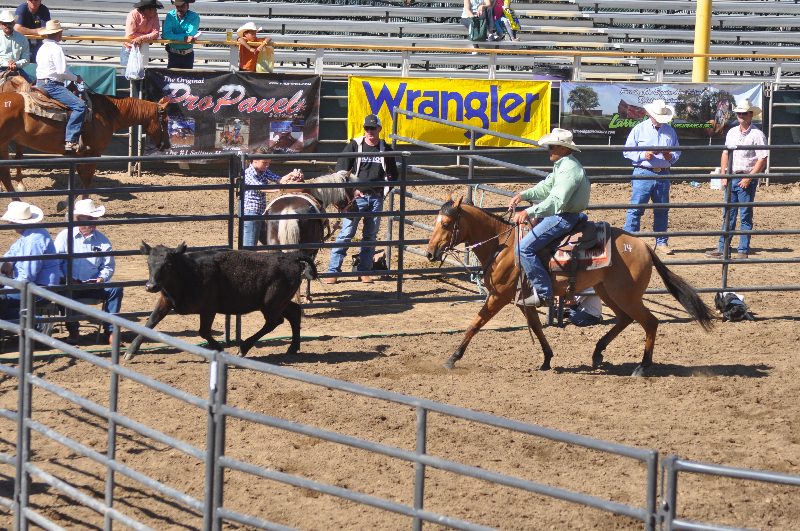 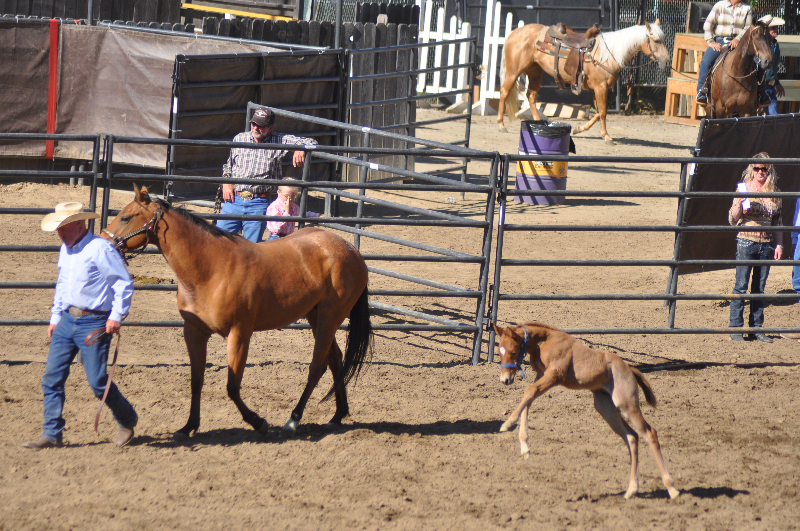 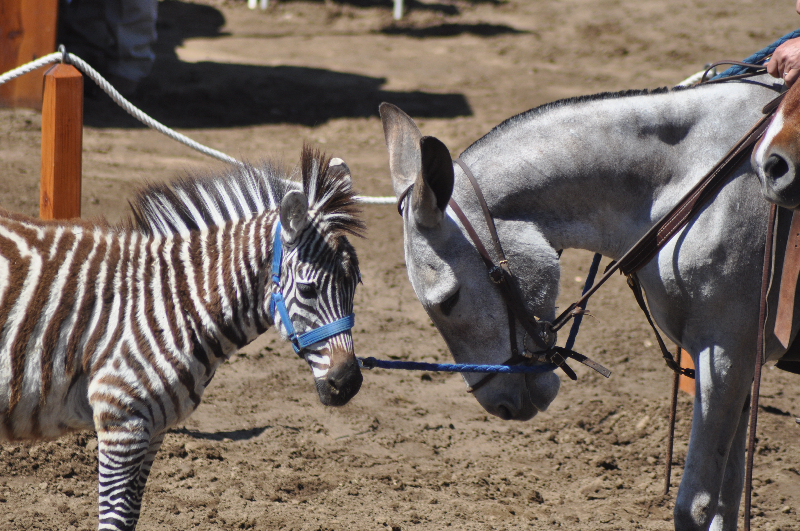 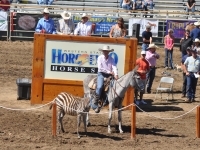 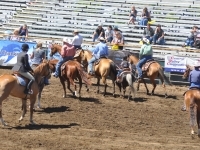 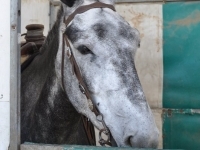 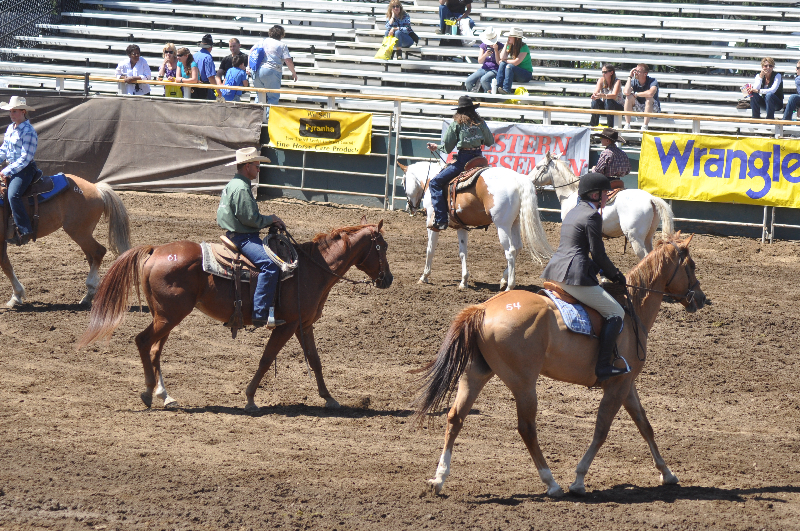 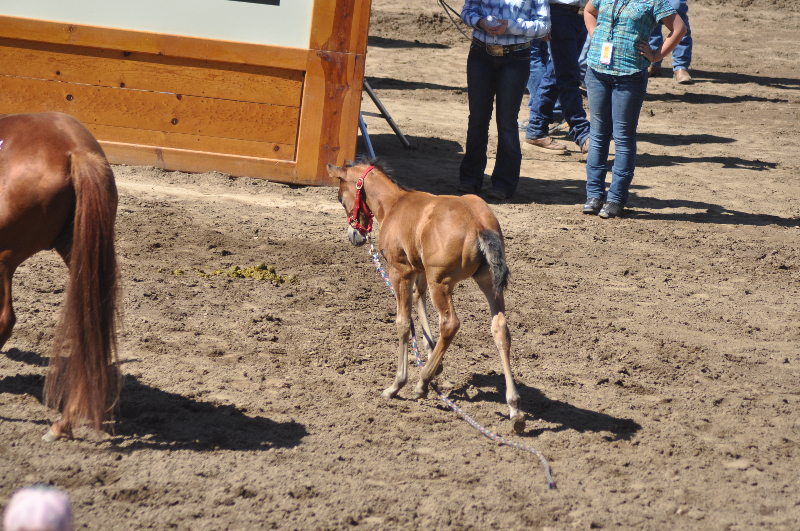 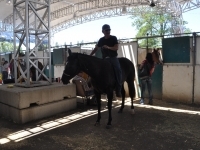 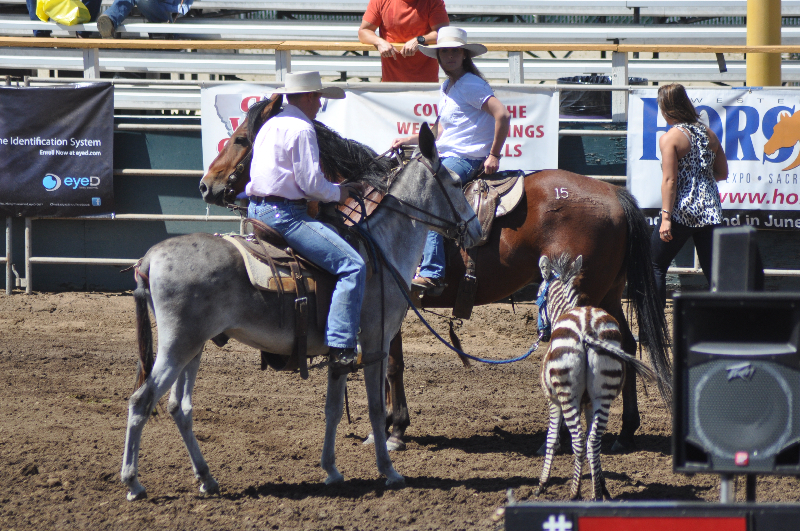 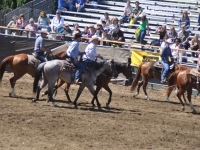 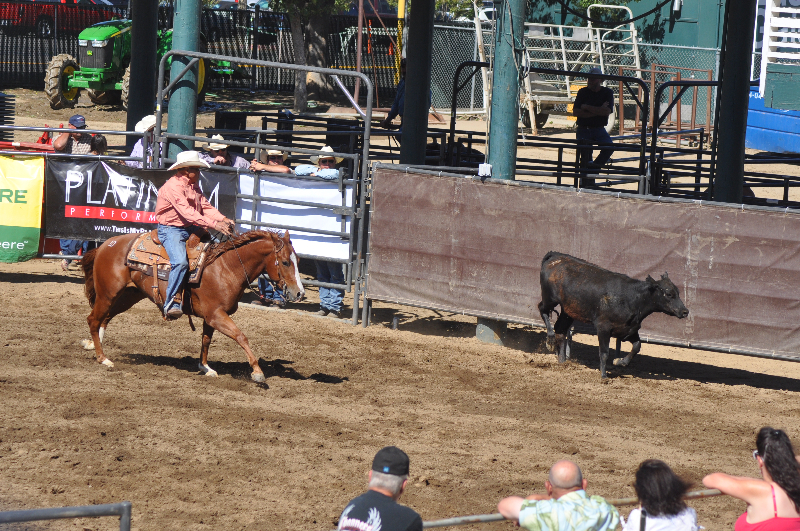 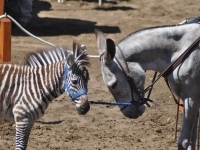 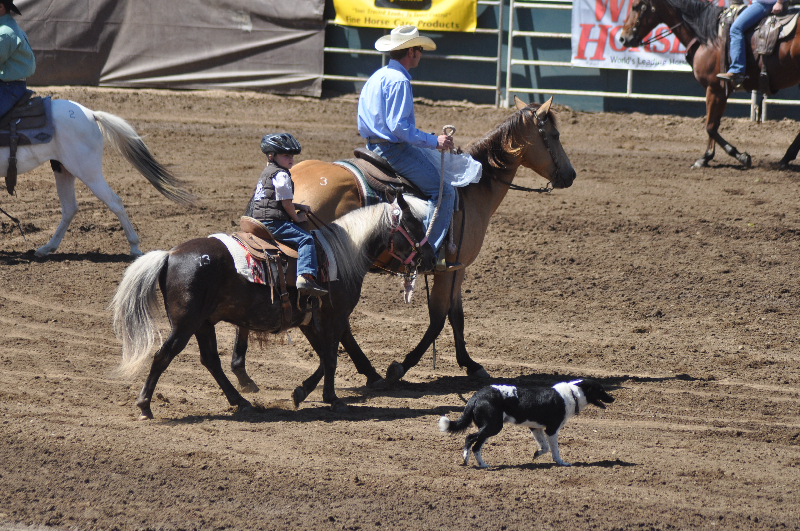 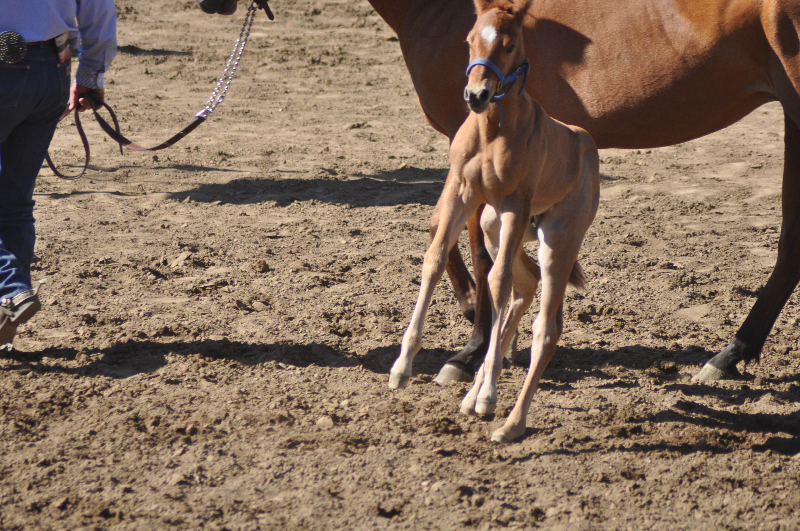 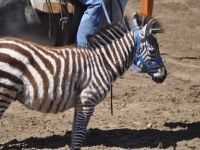 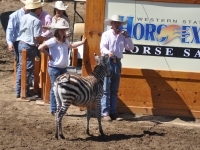 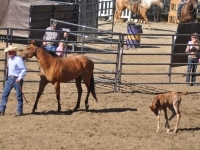 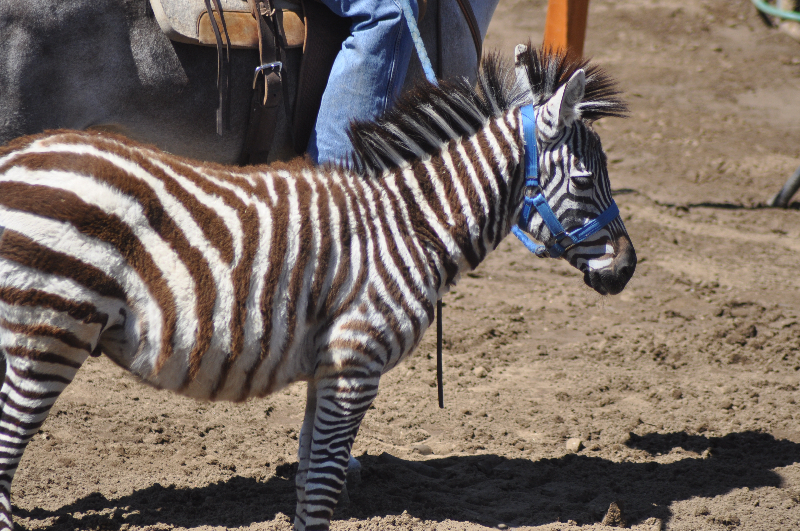 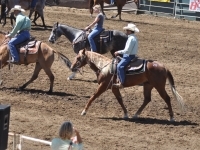 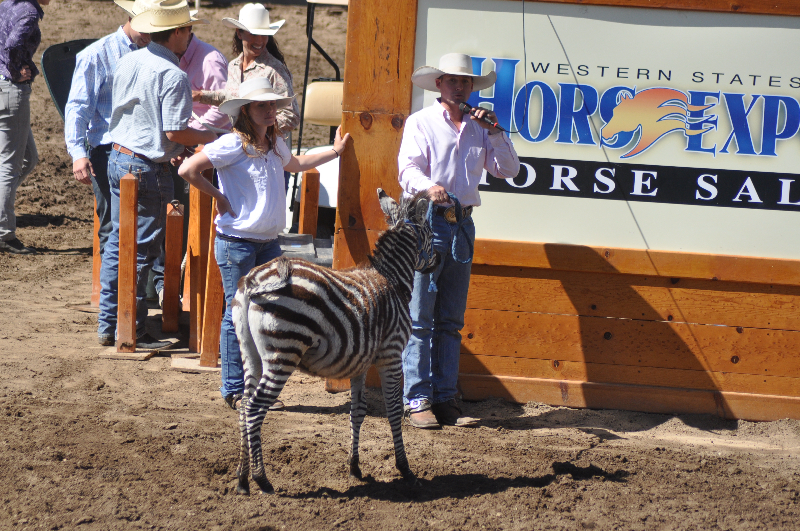 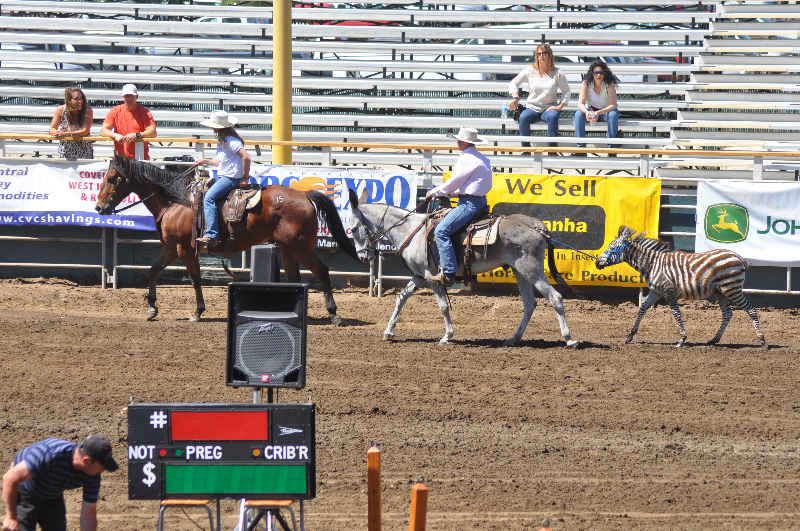 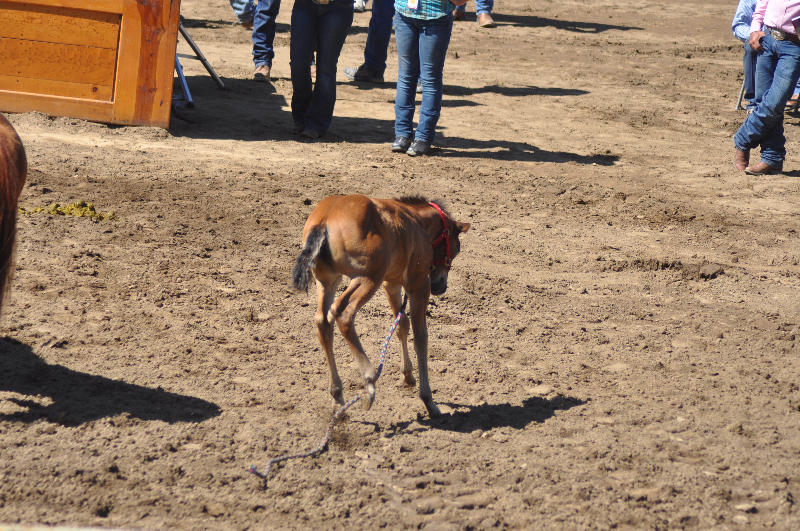 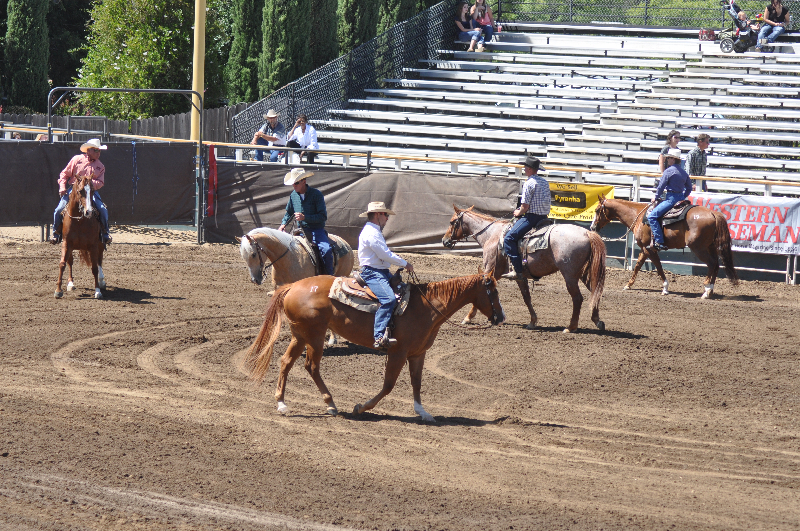 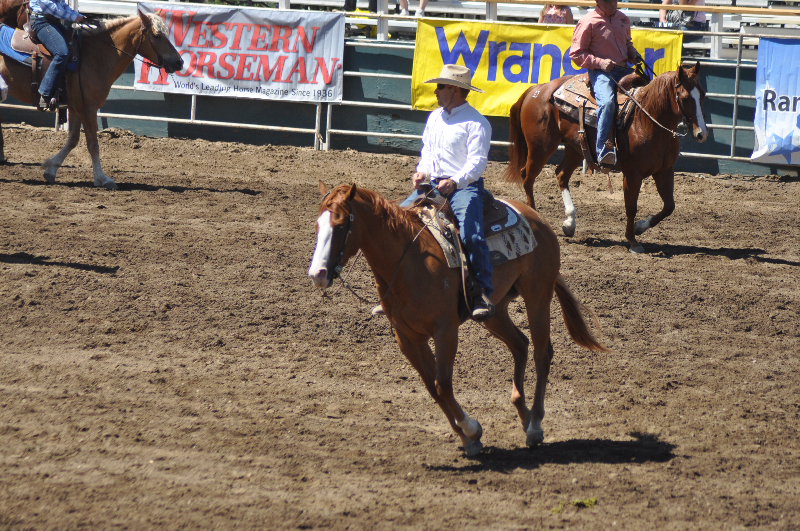 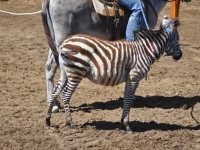 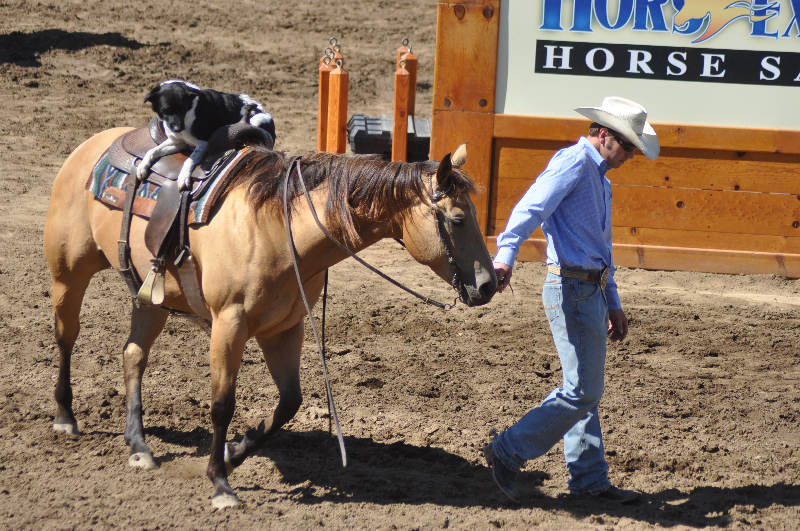 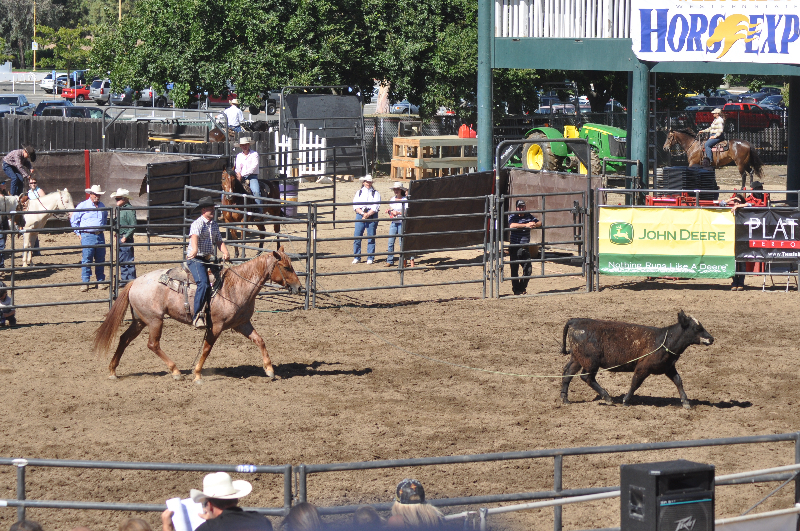 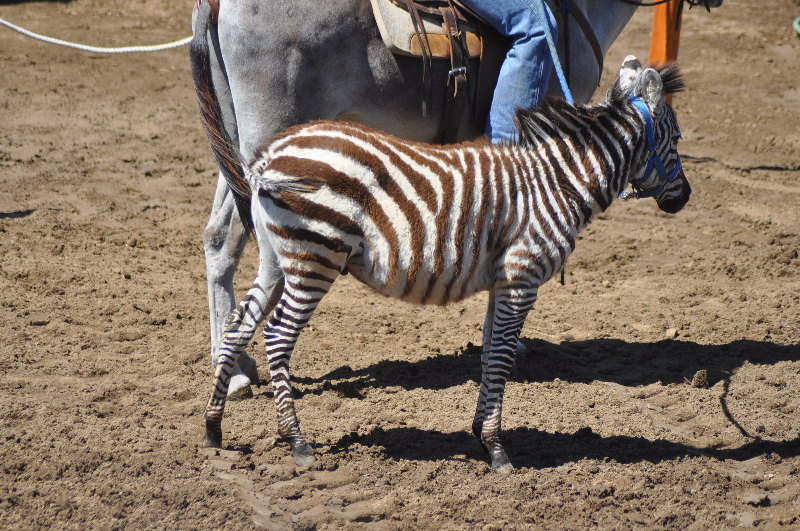 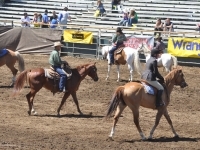 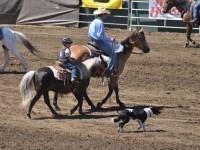 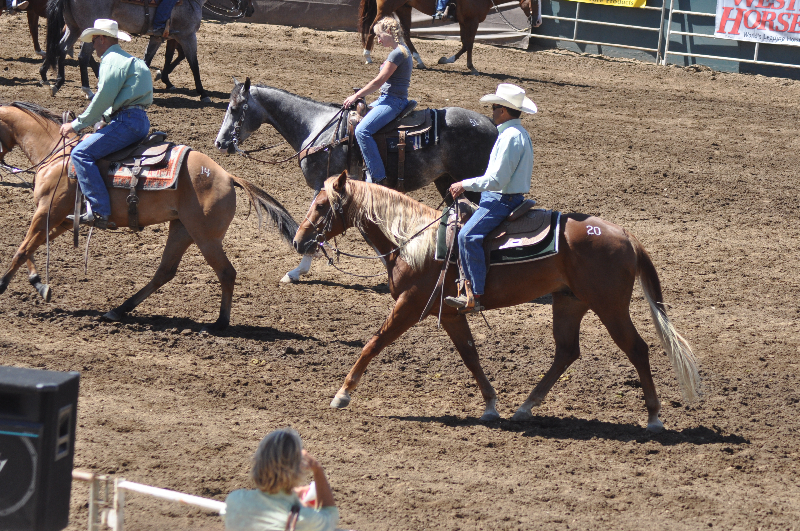 There was a vast variety of horses from the usual performance Quarter Horses all the way to a zebra.